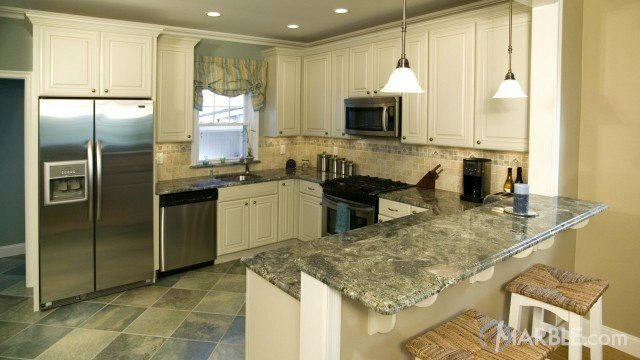 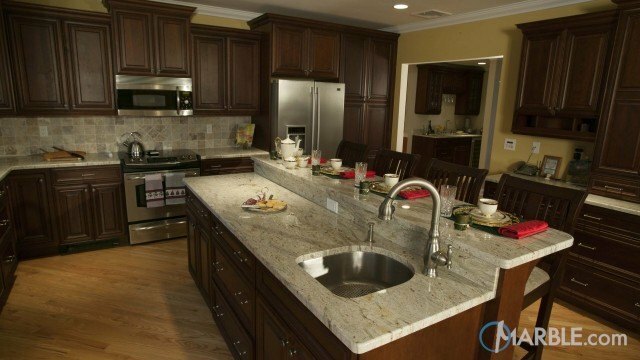 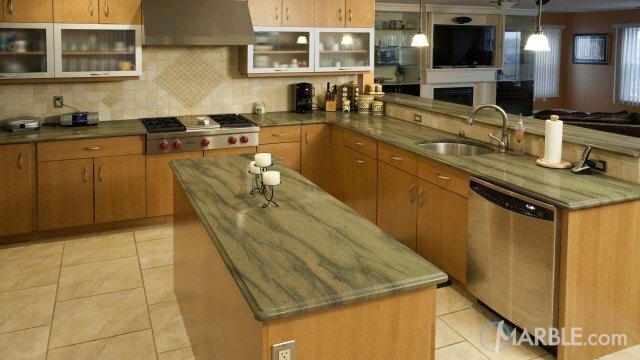 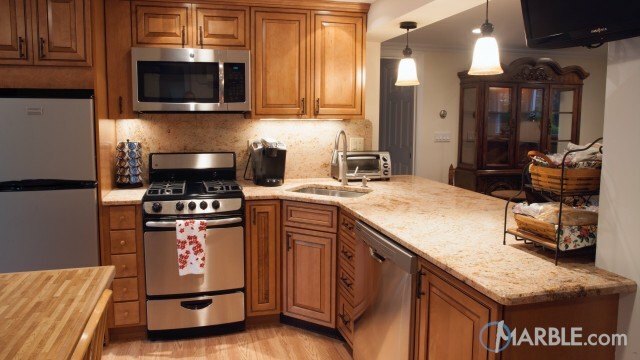 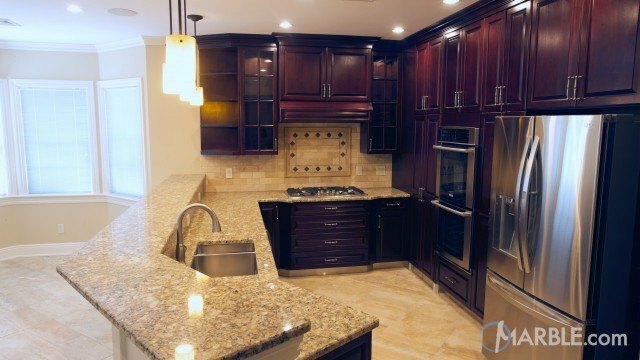 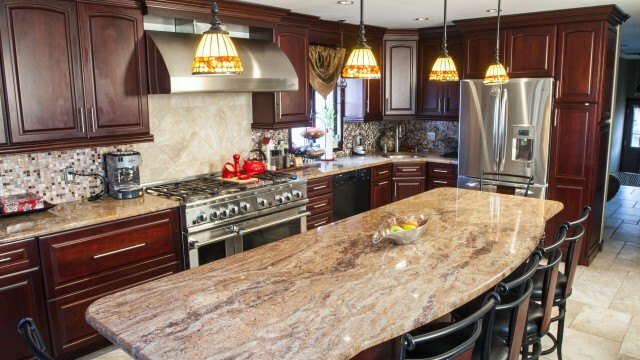 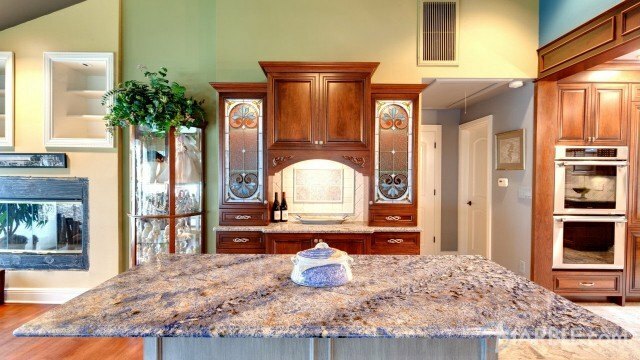 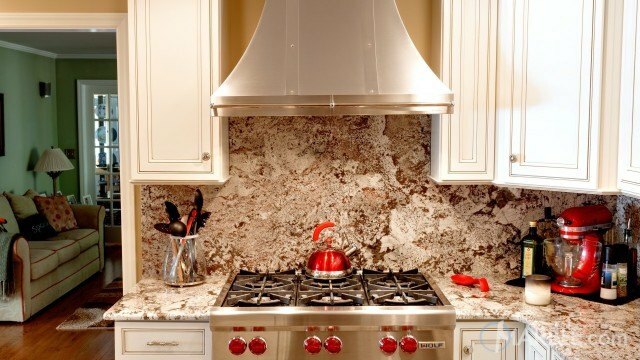 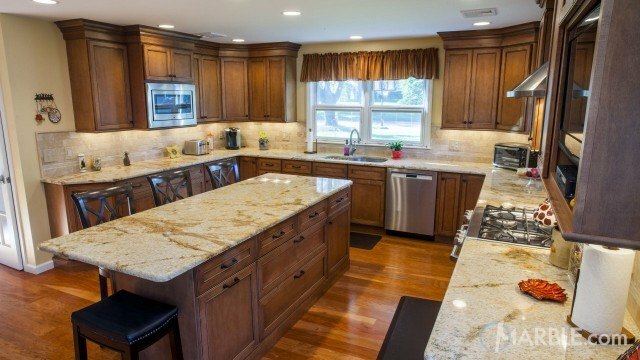 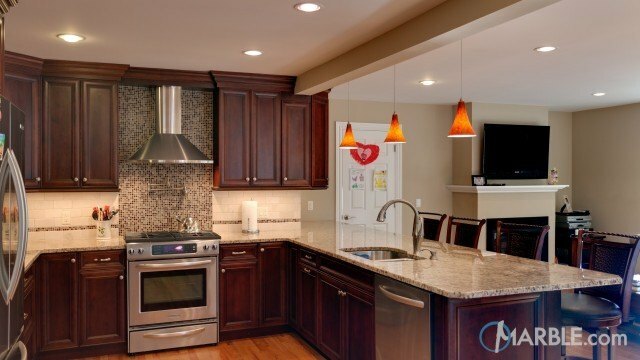 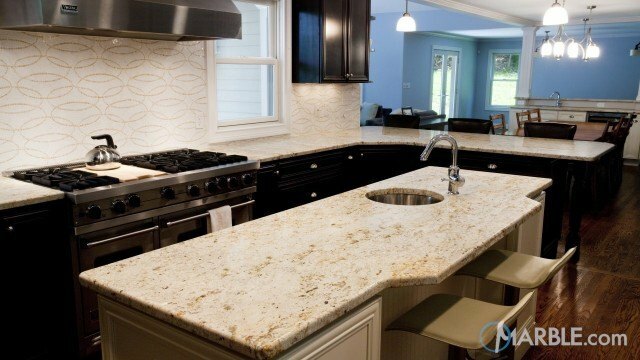 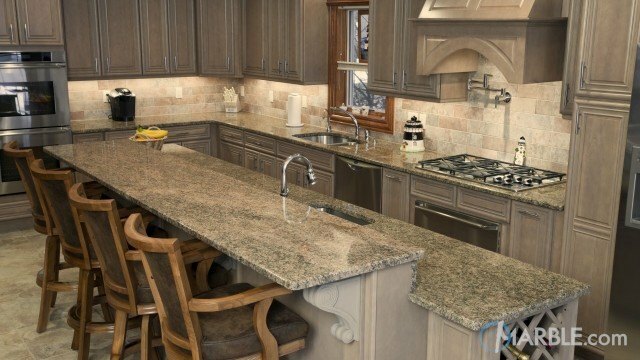 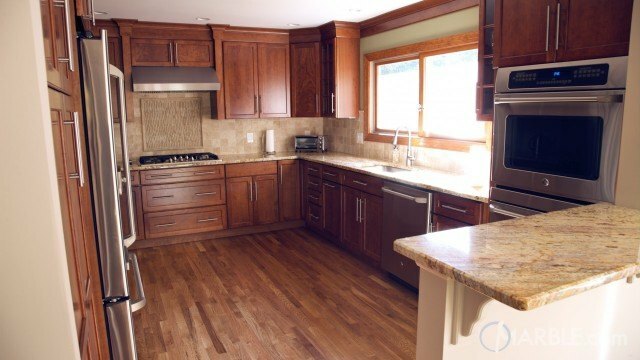 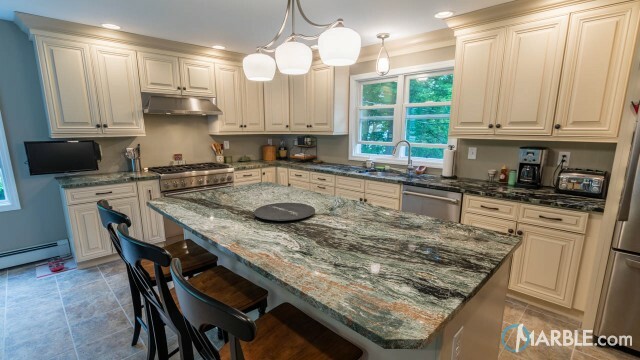 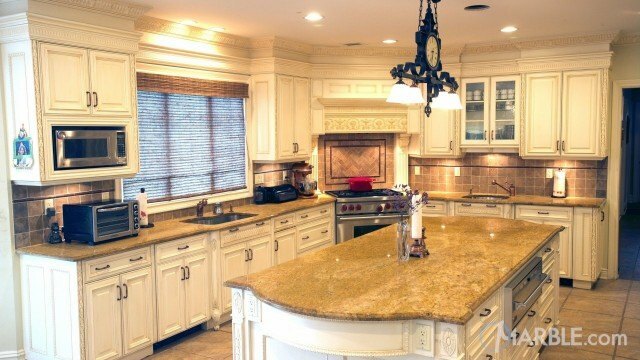 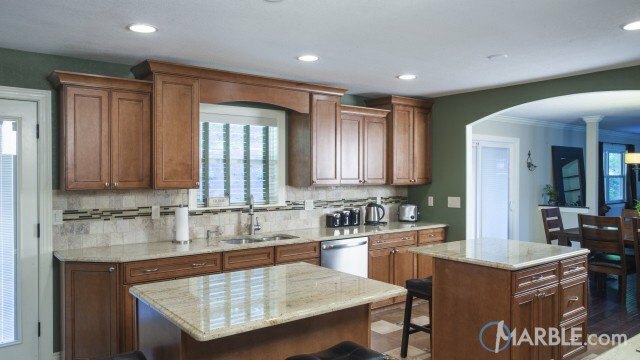 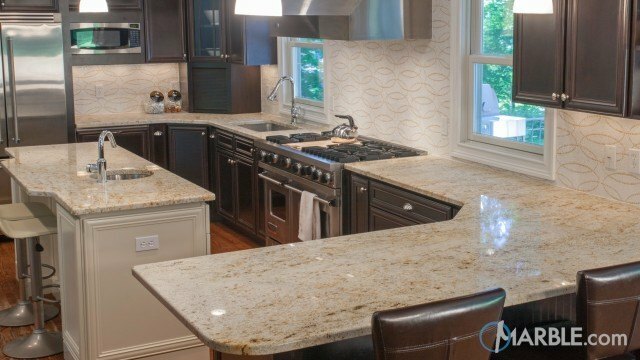 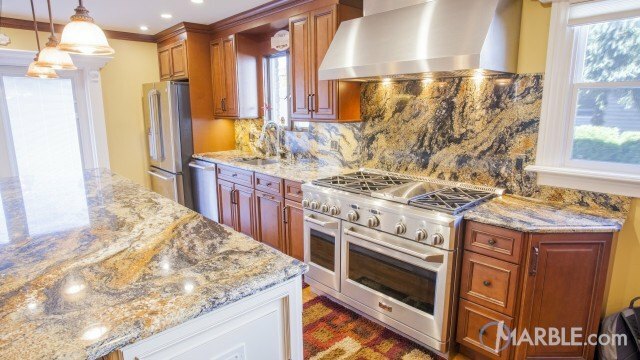 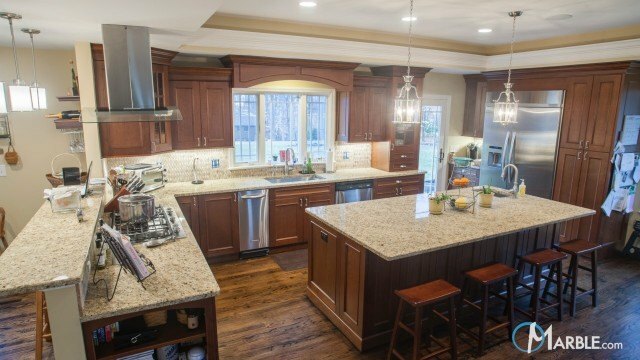 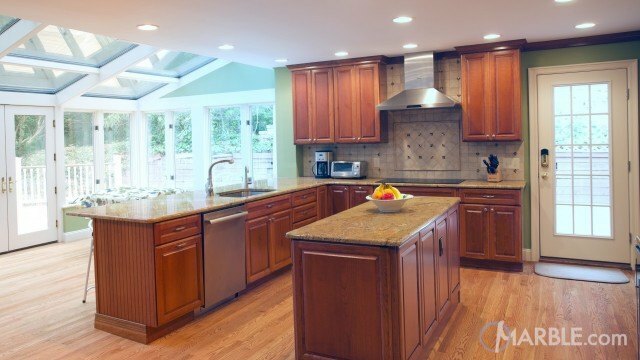 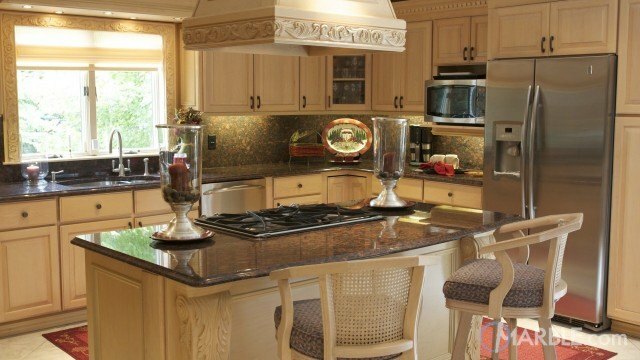 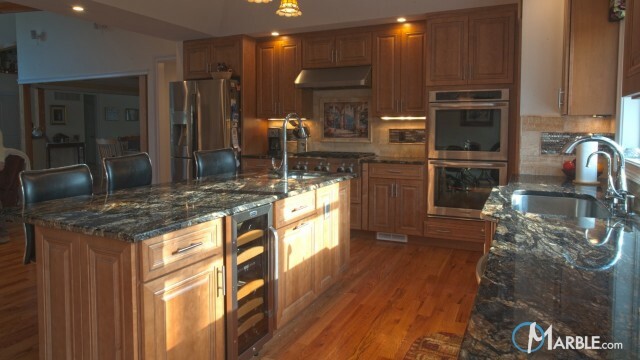 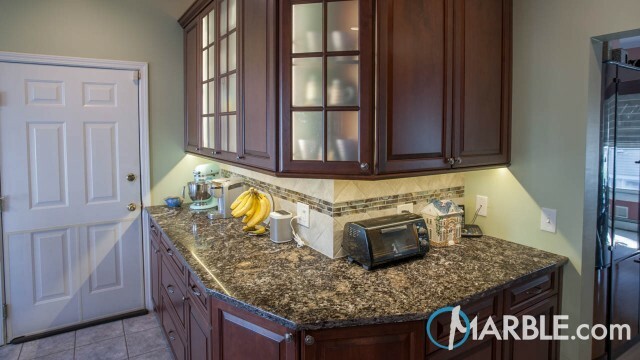 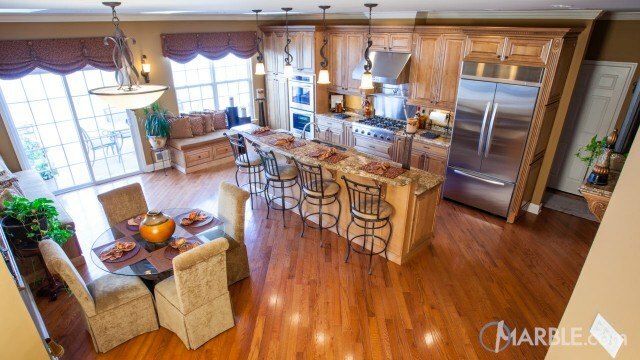 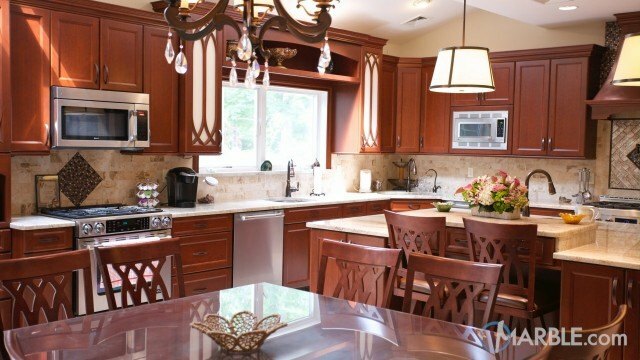 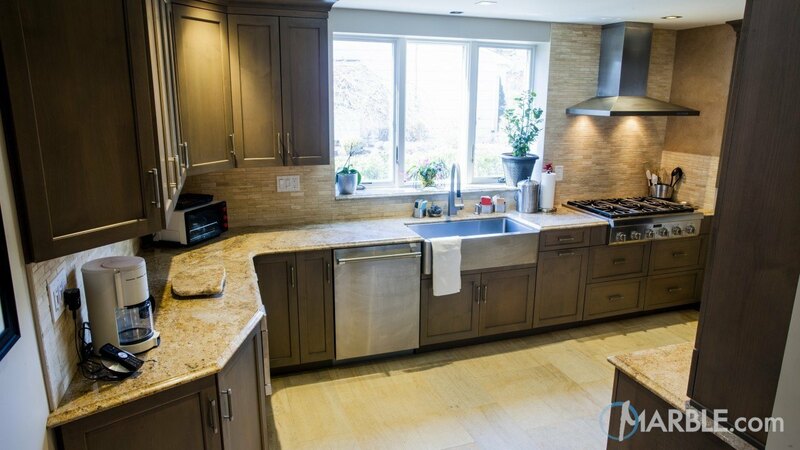 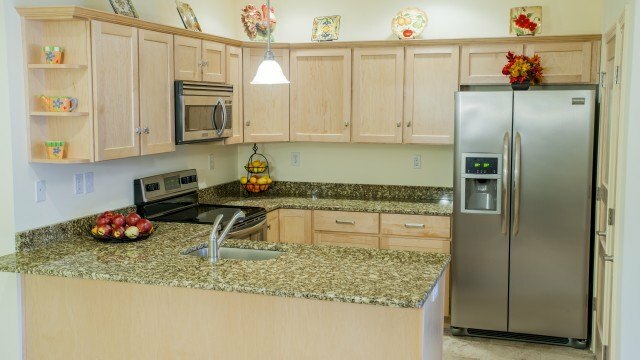 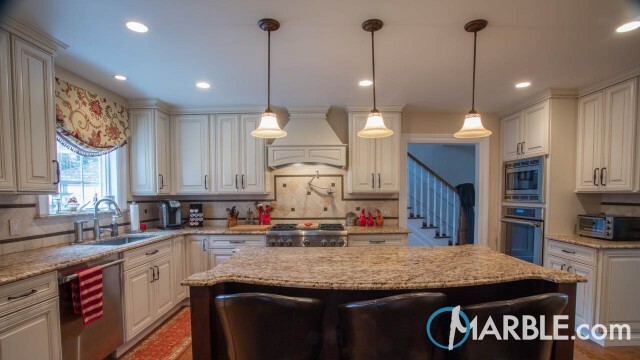 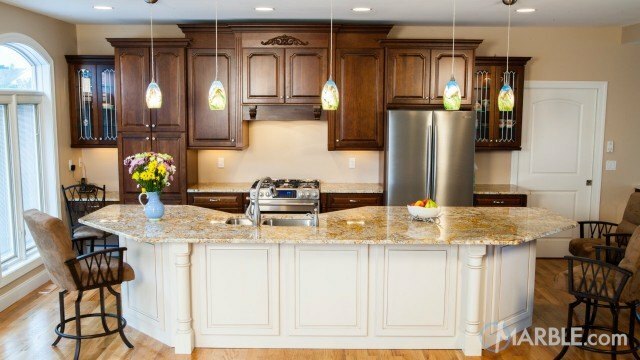 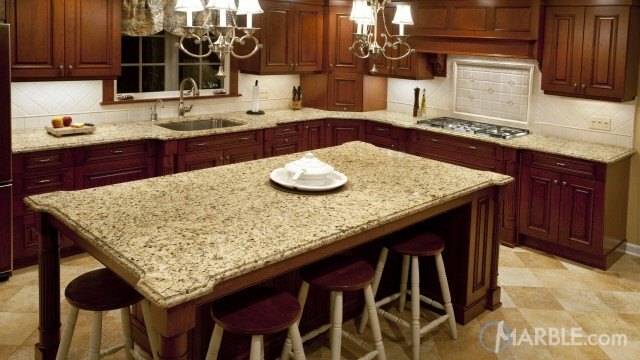 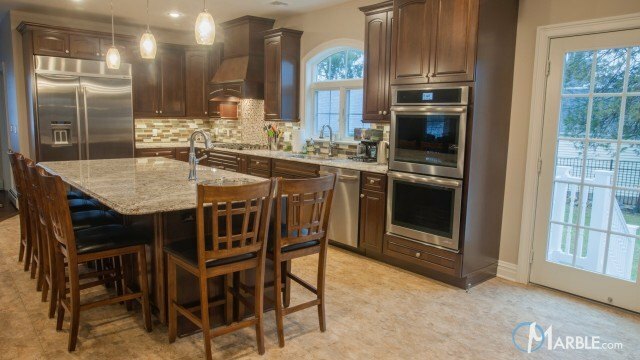 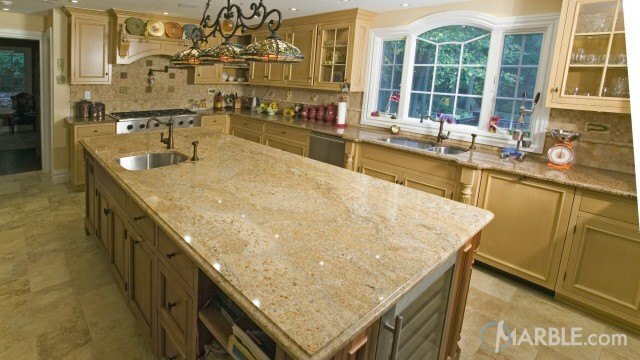 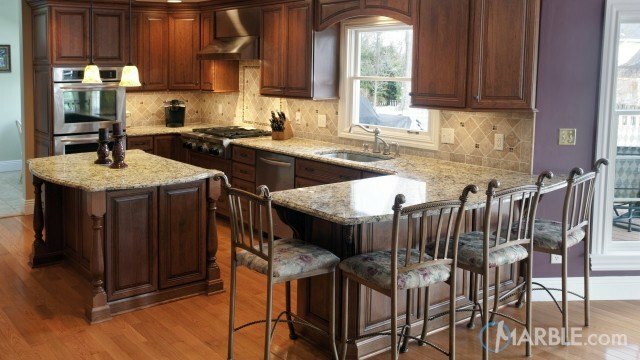 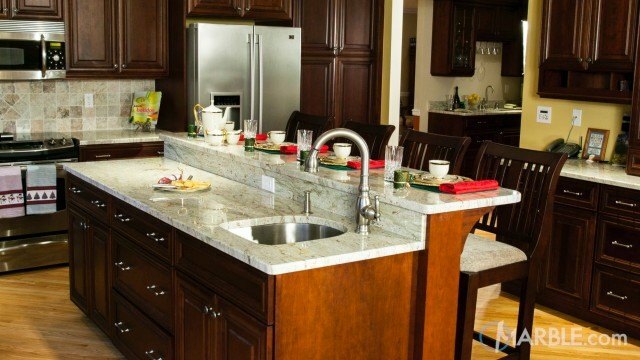 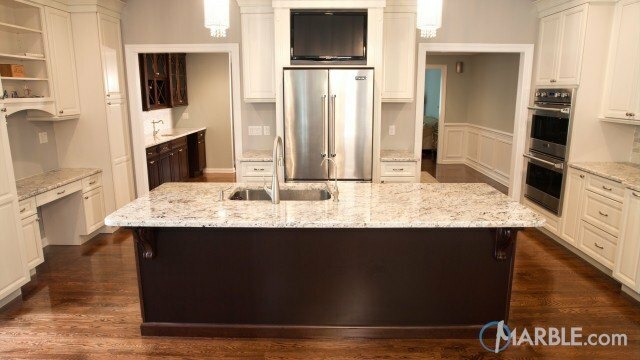 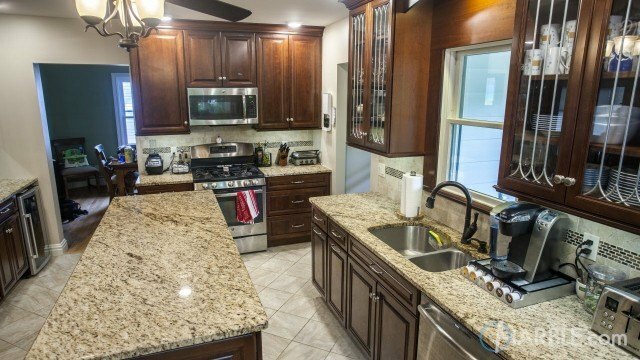 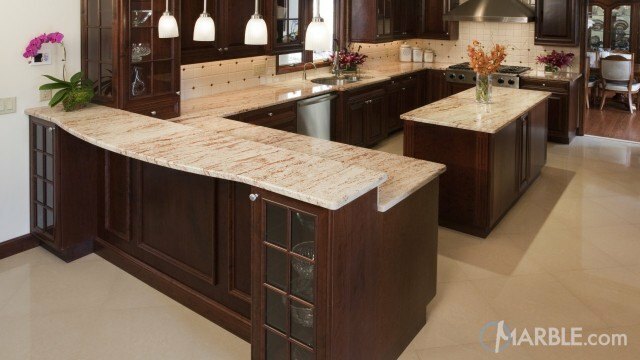 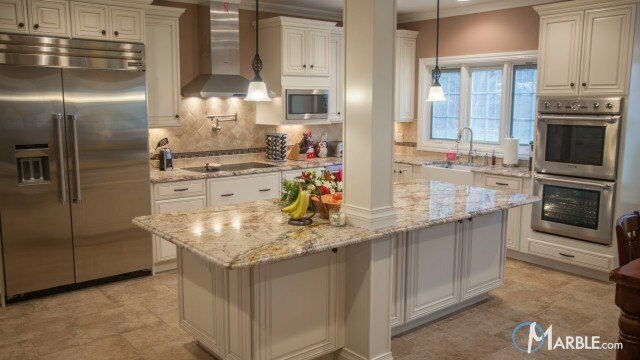 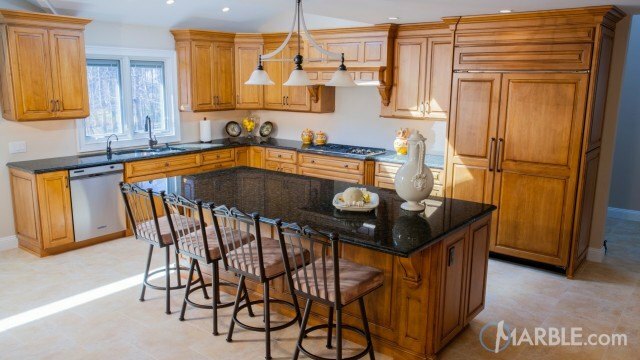 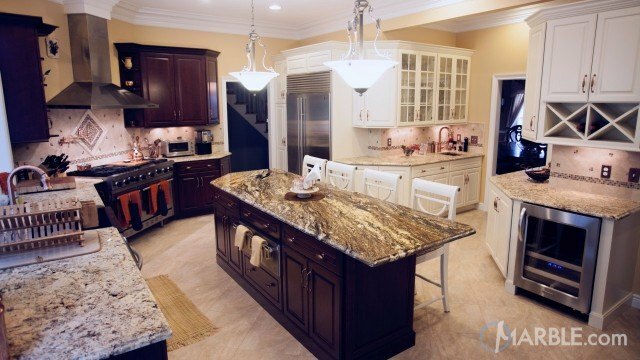 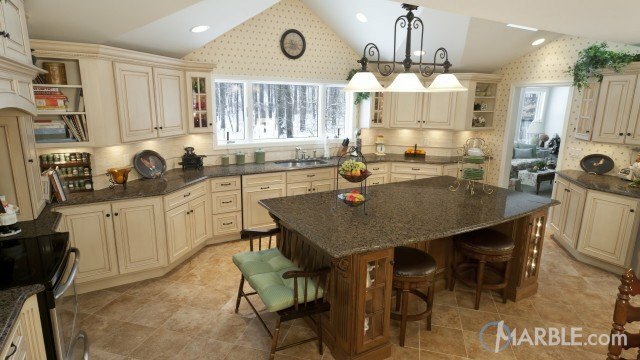 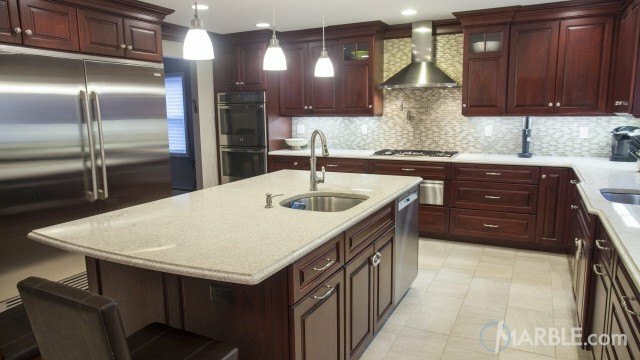 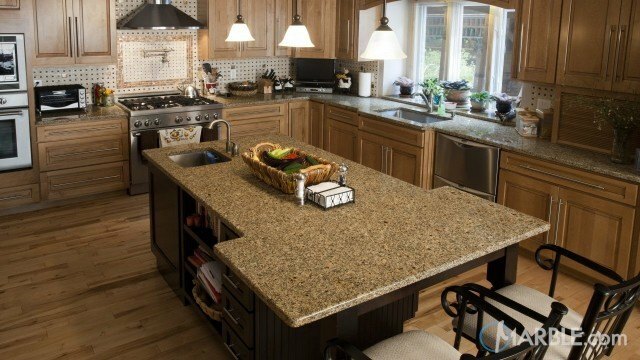 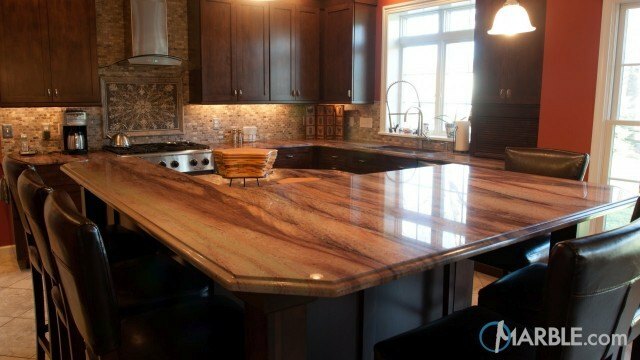 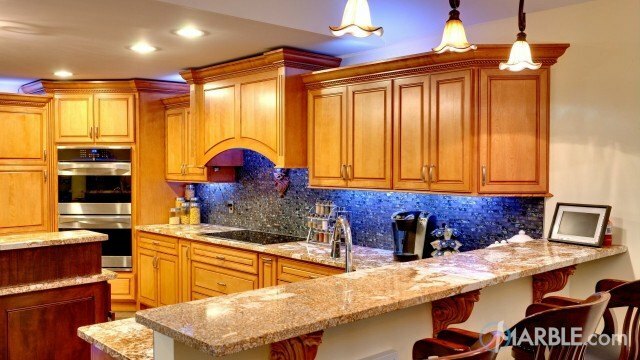 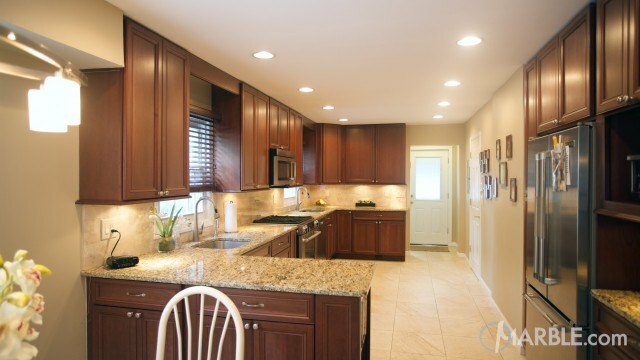 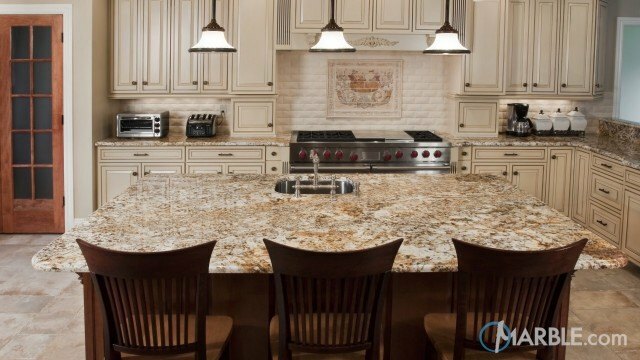 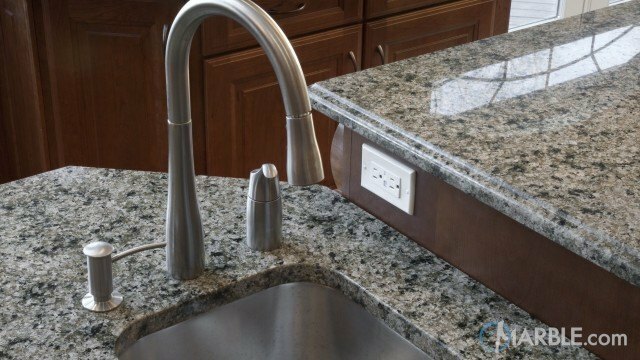 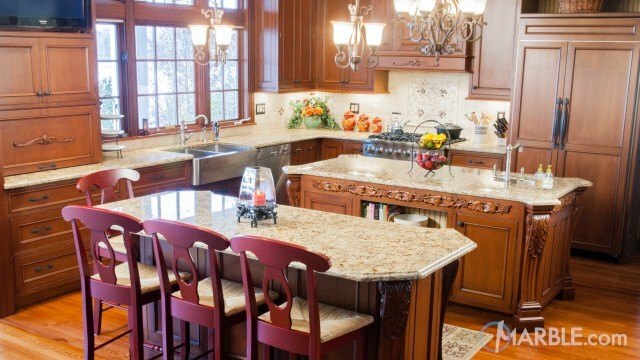 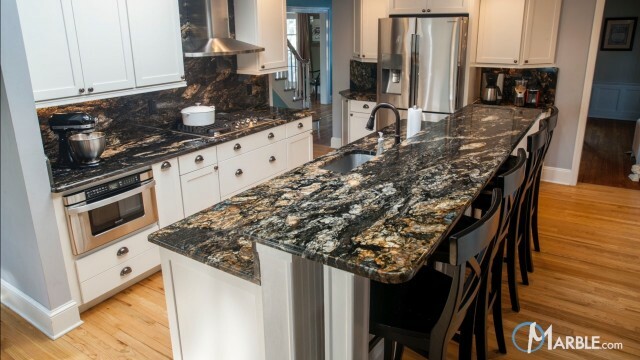 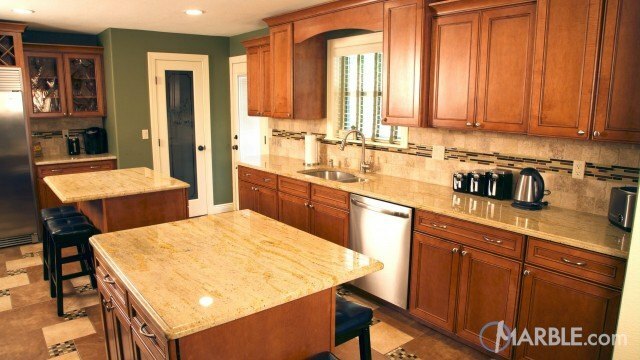 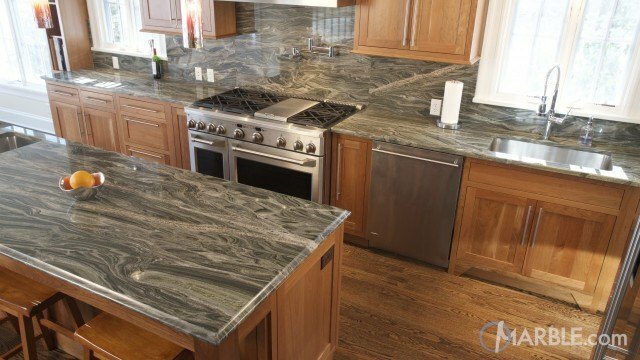 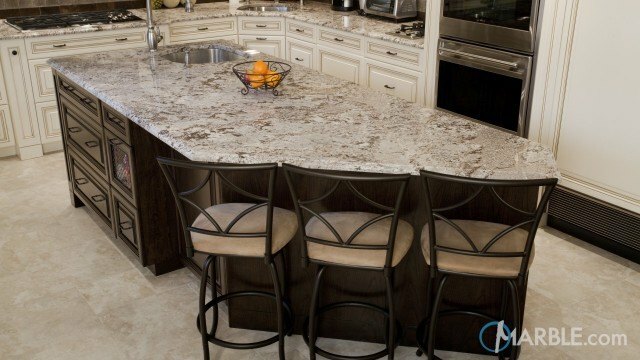 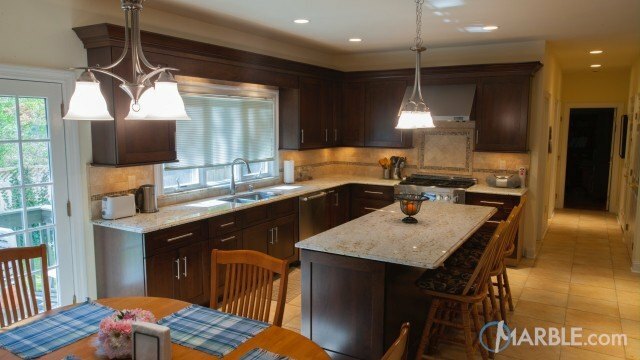 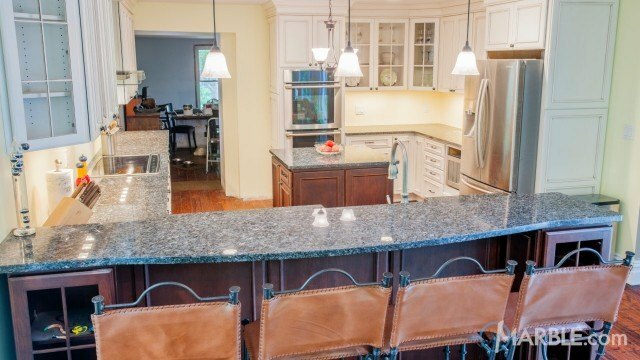 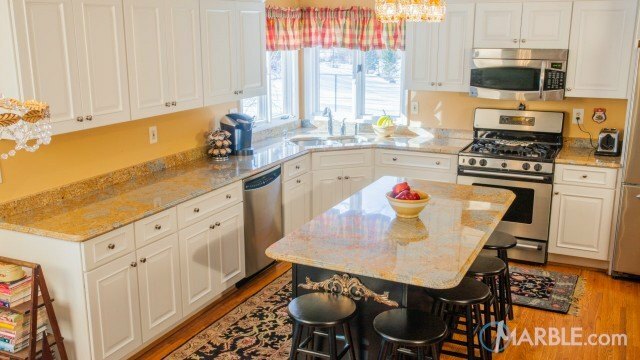 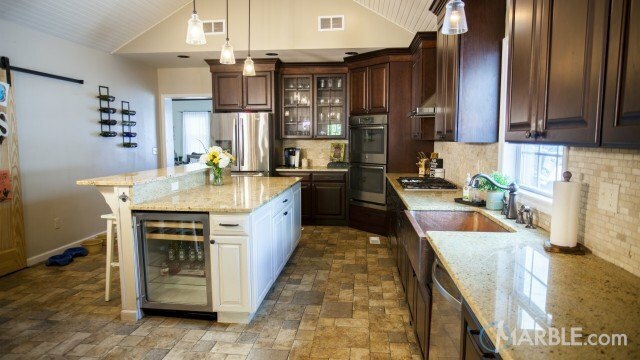 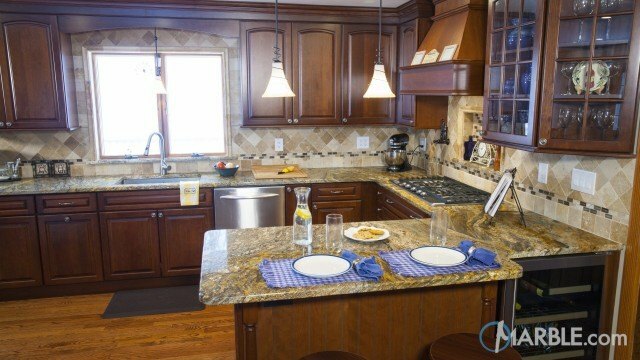 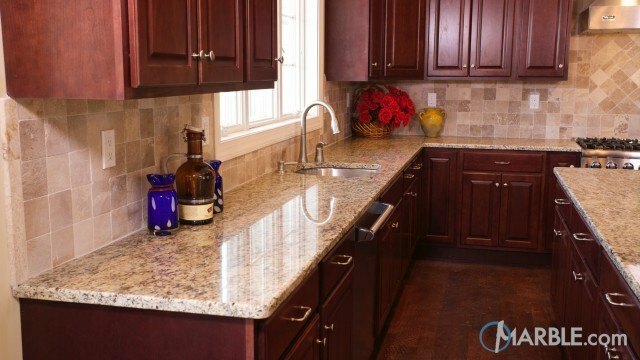 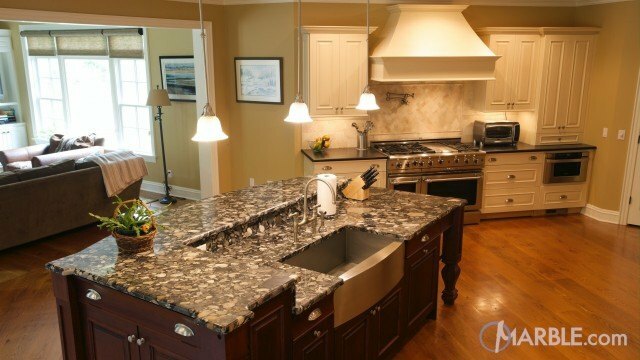 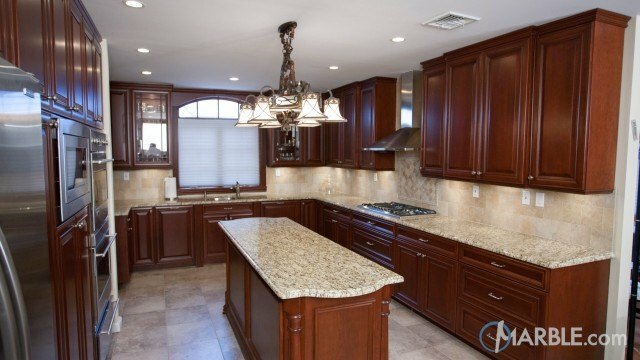 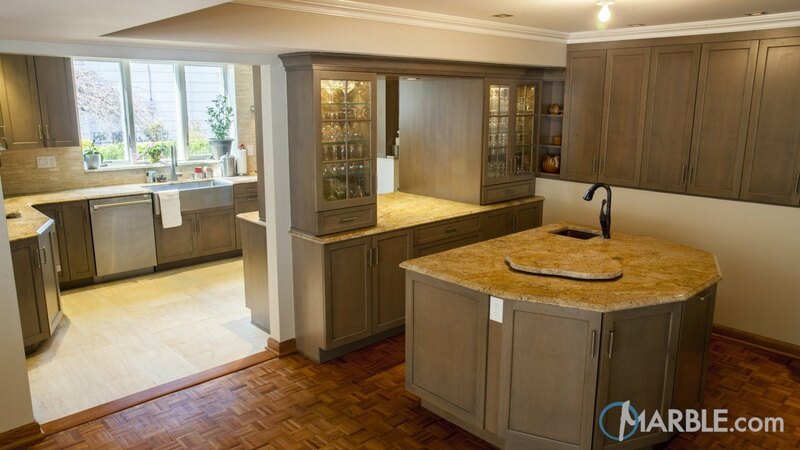 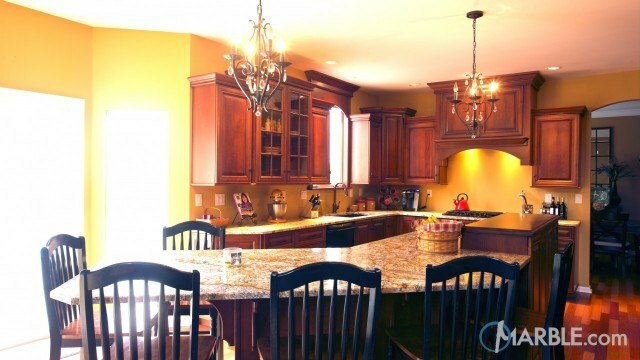 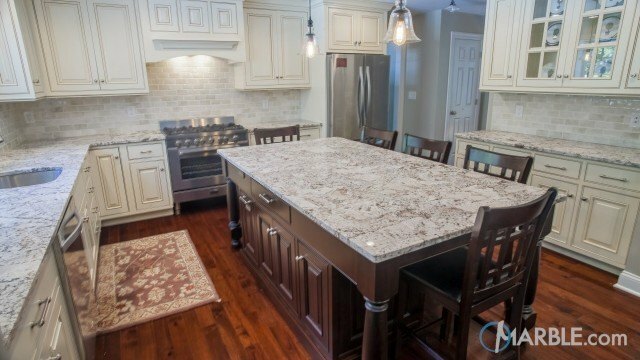 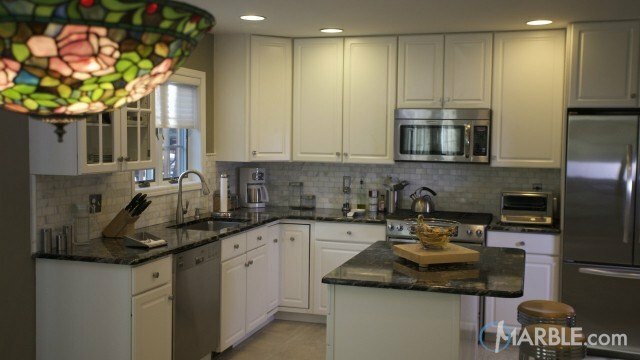 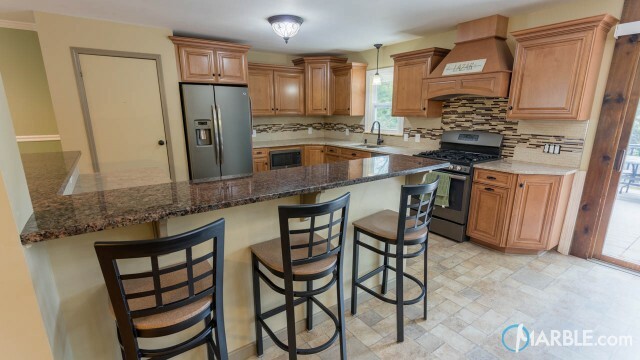 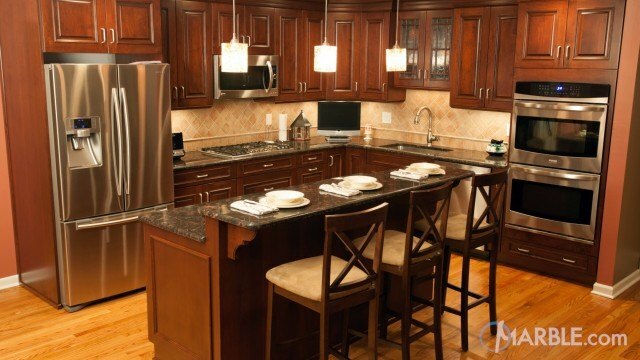 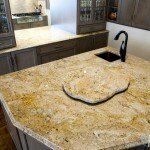 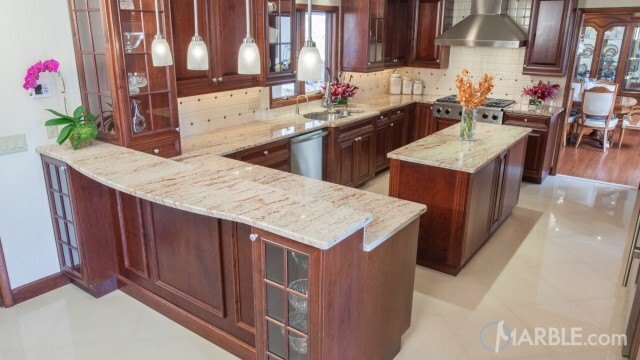 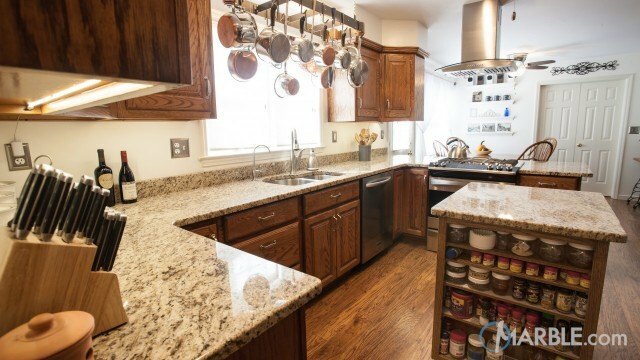 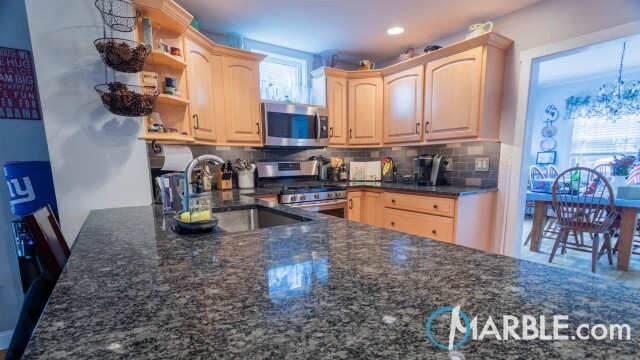 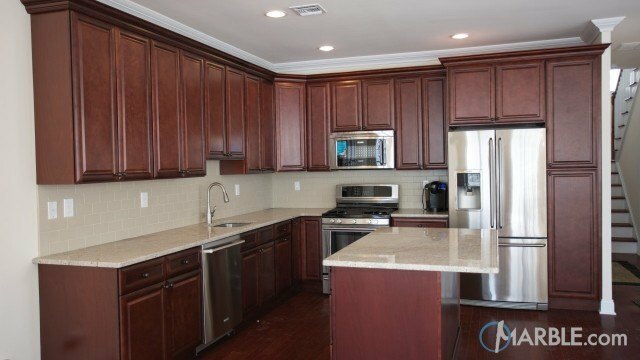 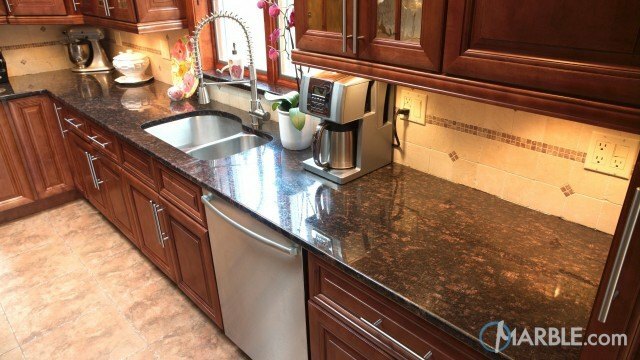 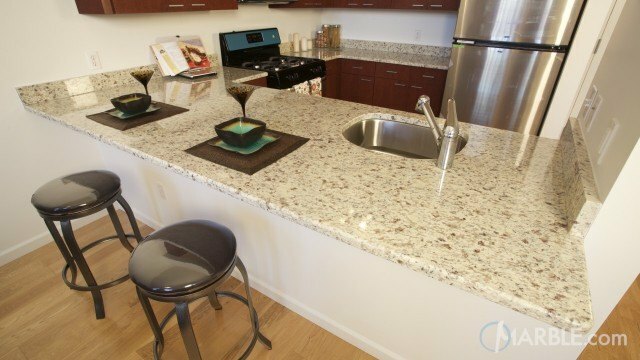 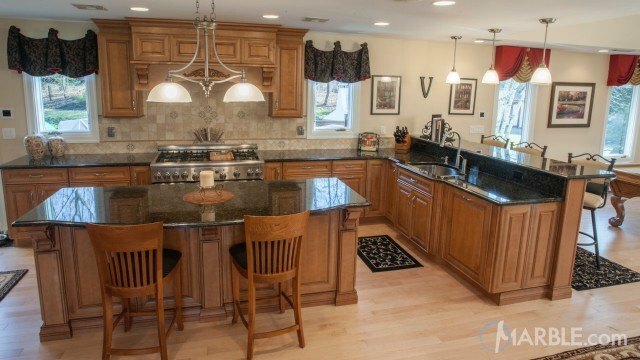 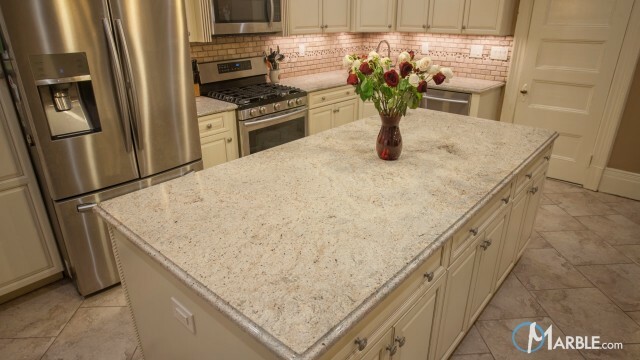 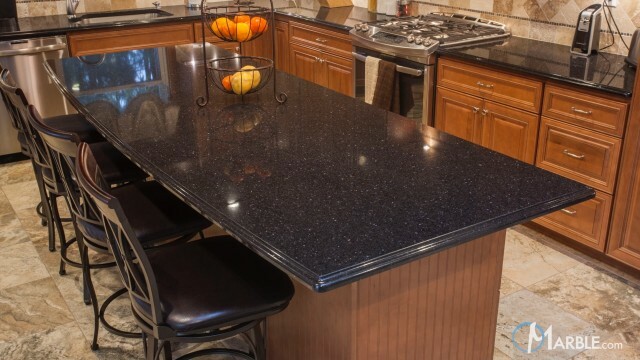 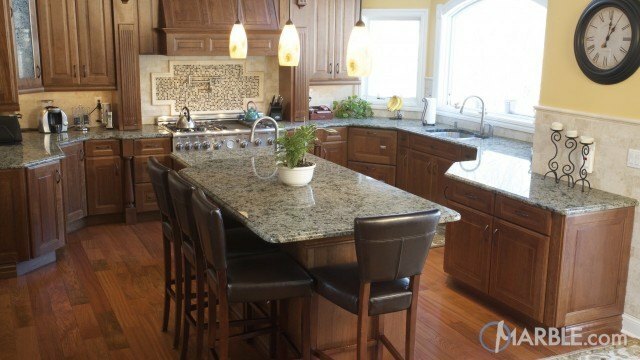 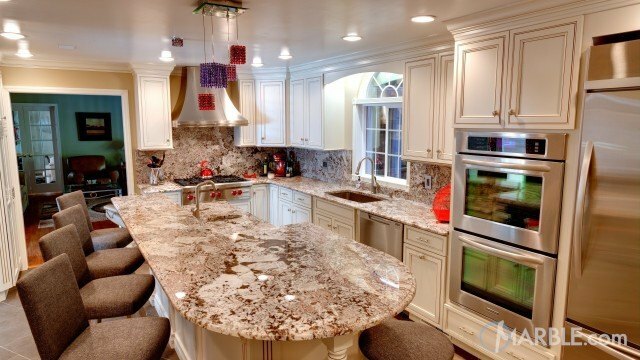 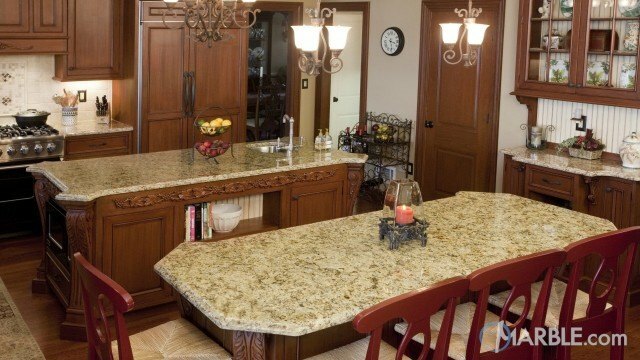 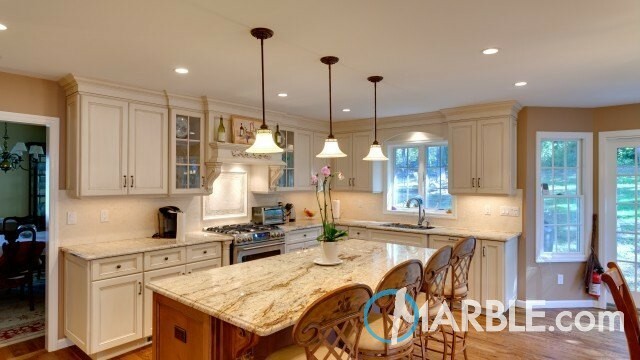 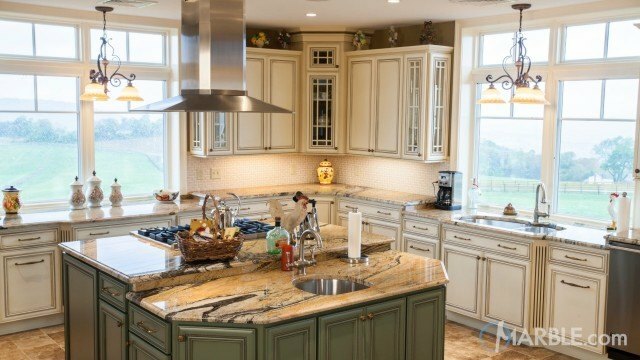 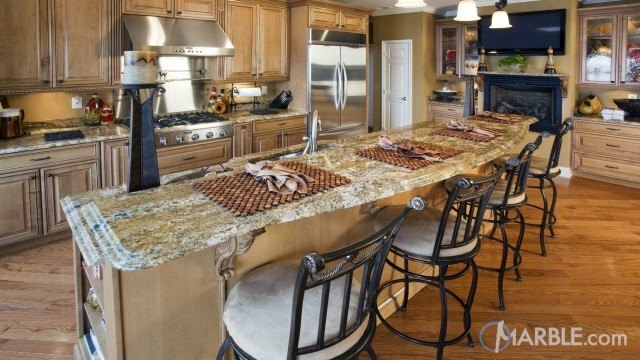 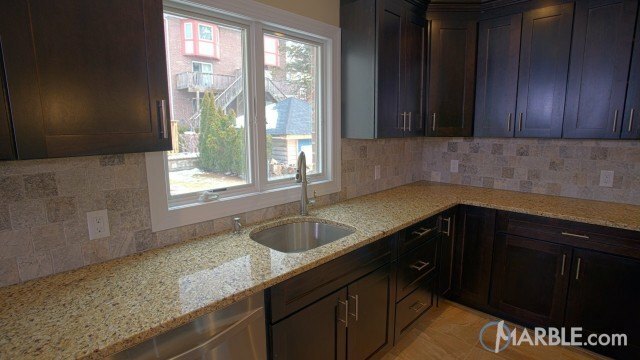 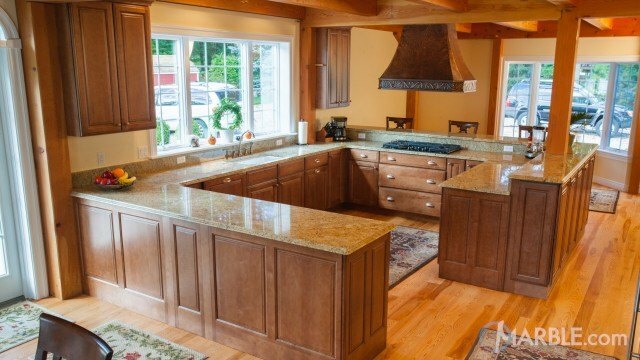 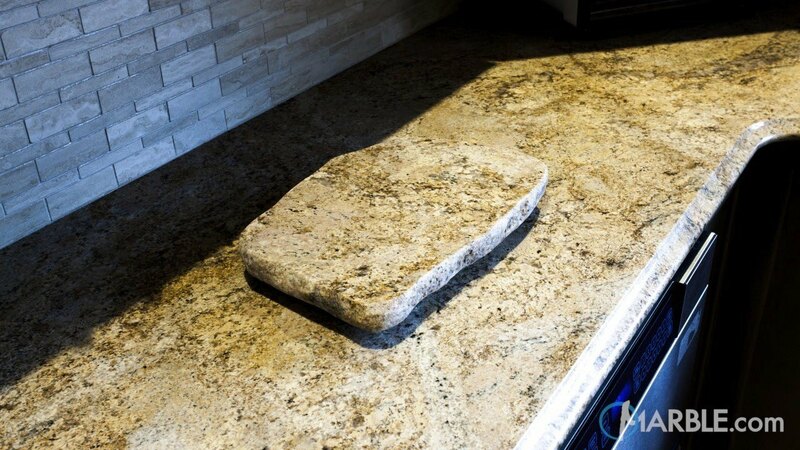 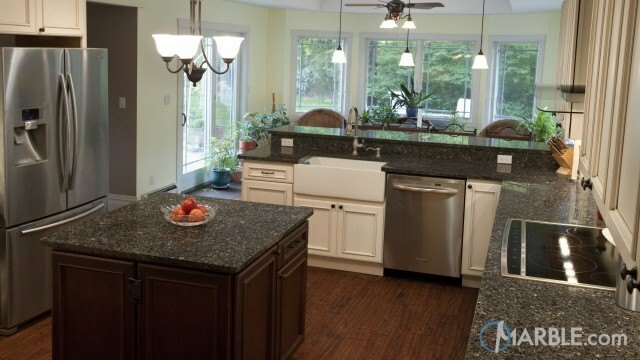 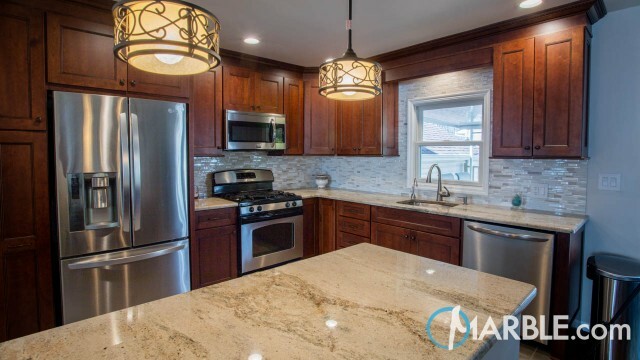 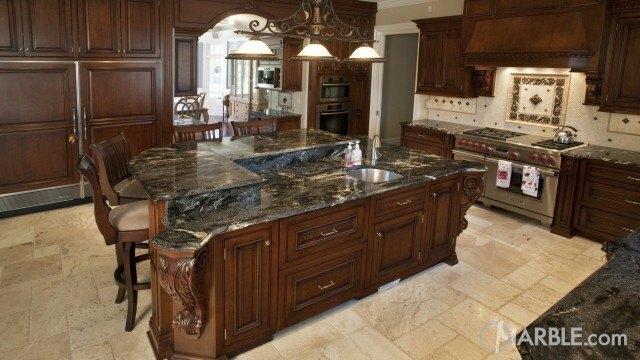 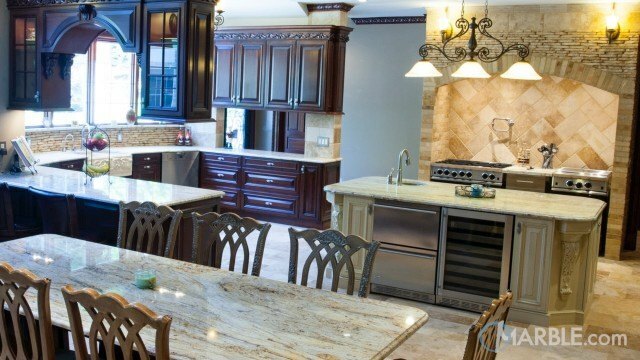 Arandis Chocolate granite kitchen counter tops with brown cabinets contrast the light counter tops. 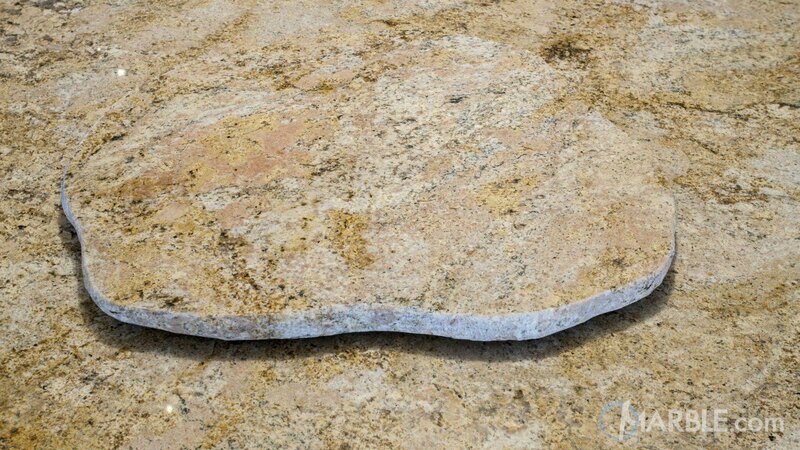 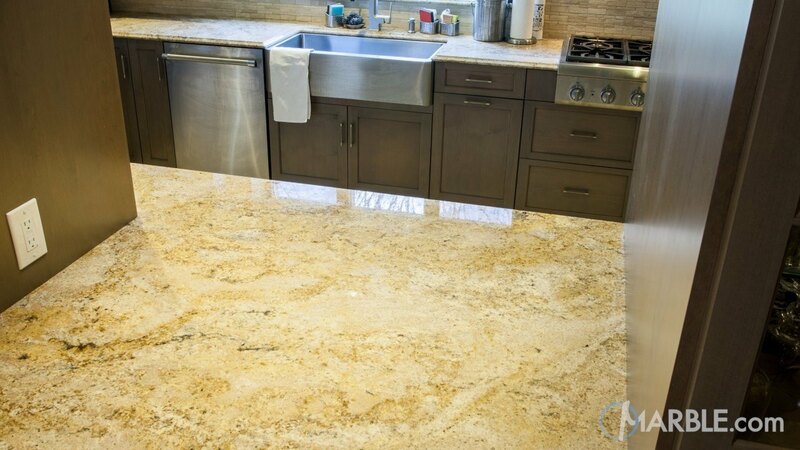 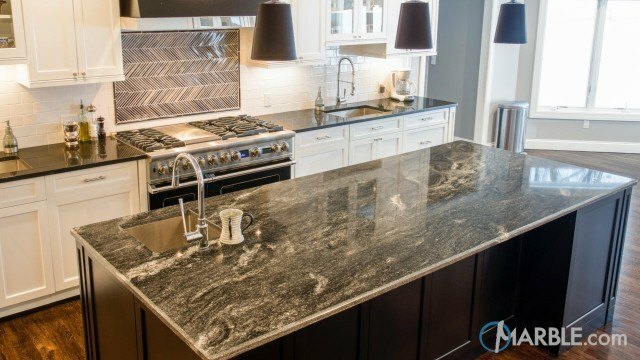 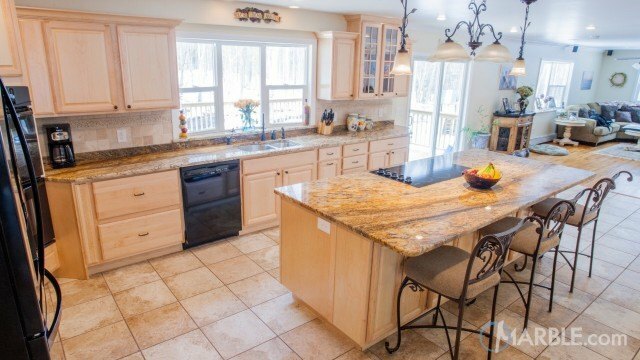 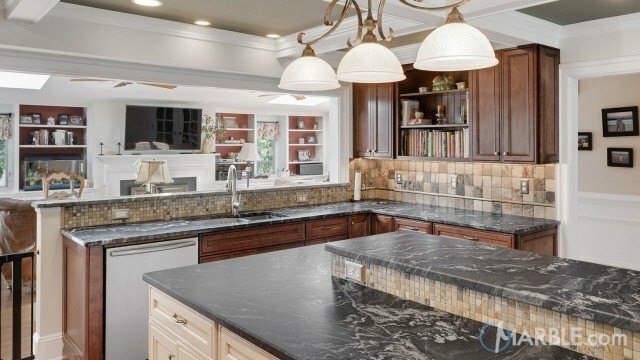 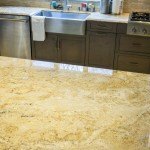 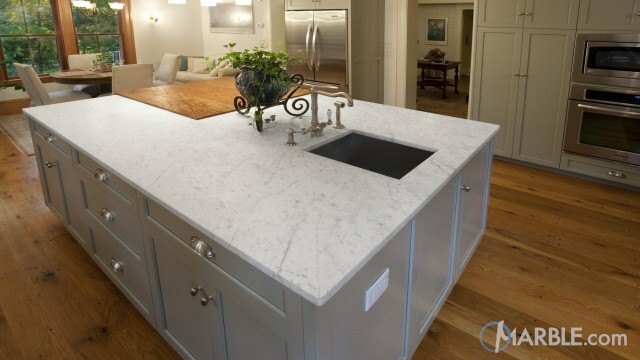 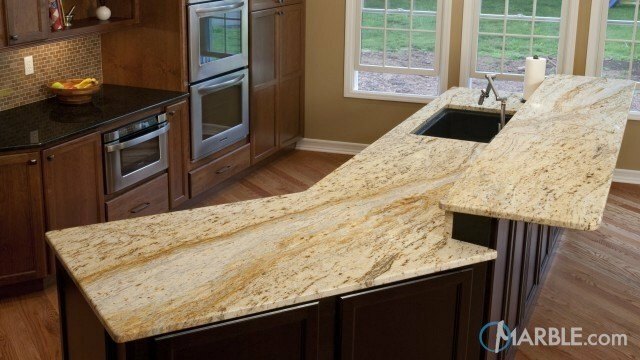 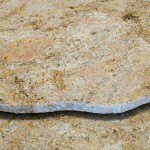 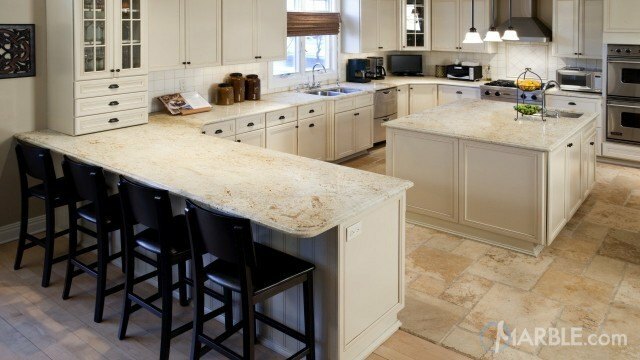 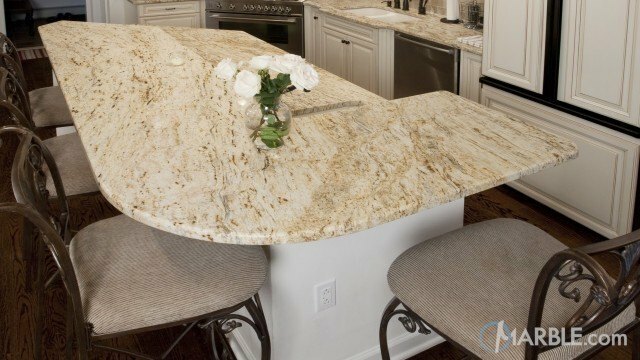 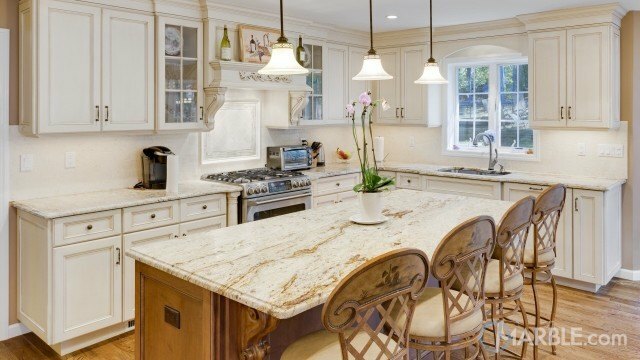 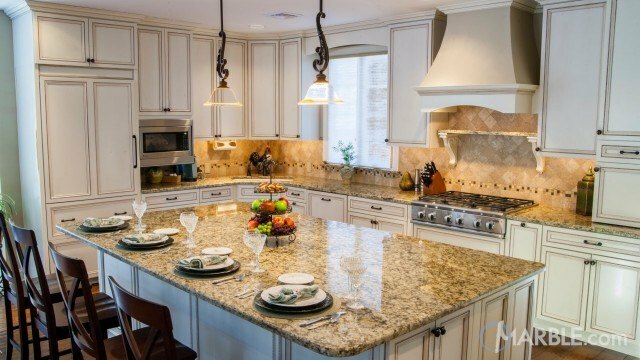 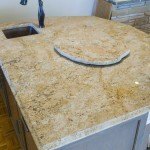 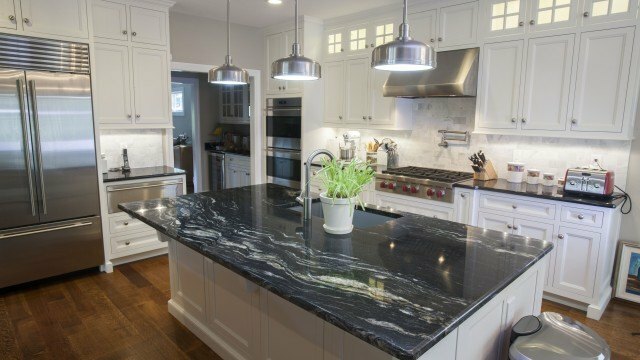 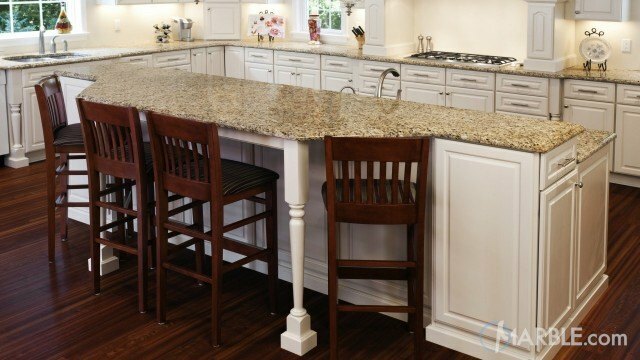 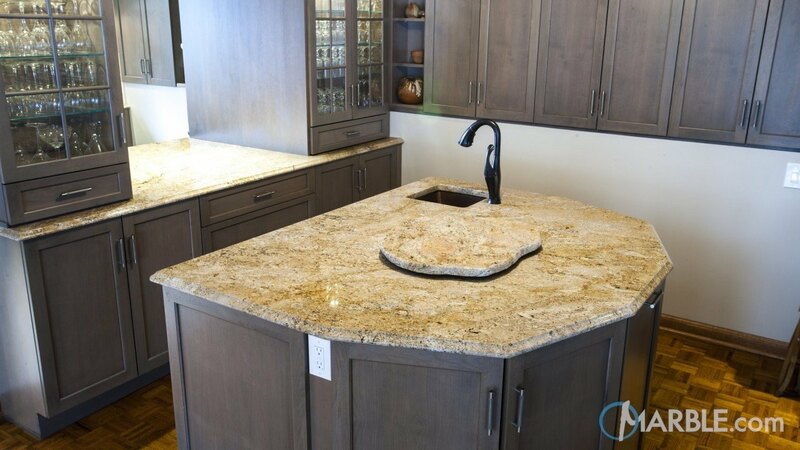 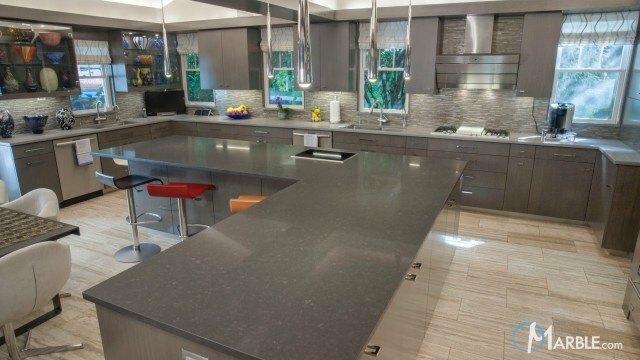 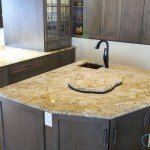 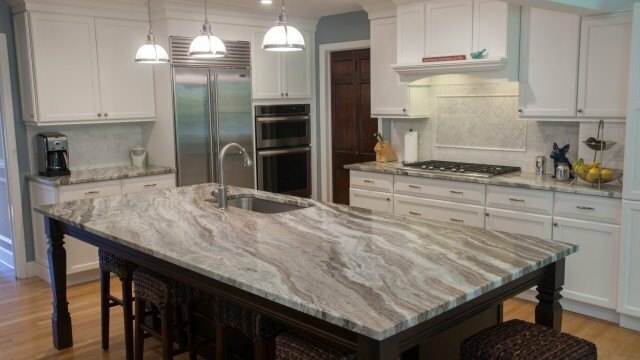 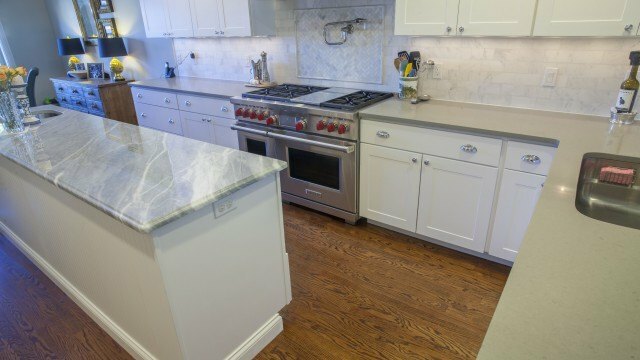 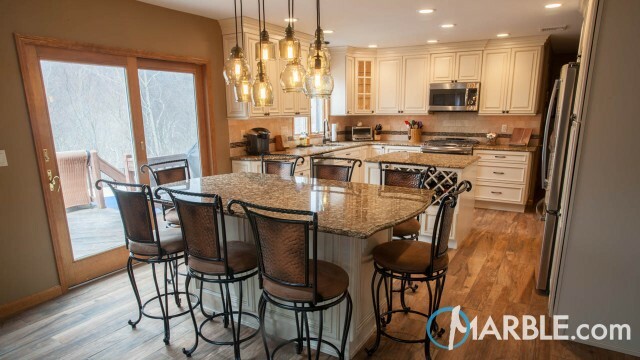 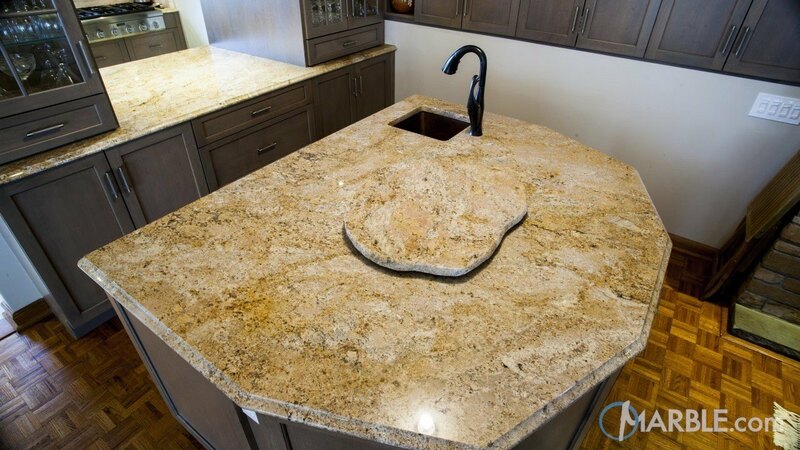 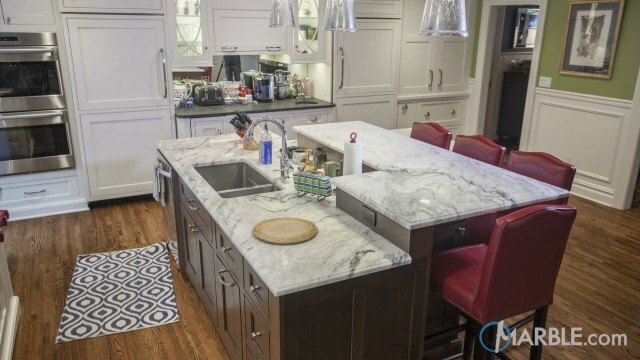 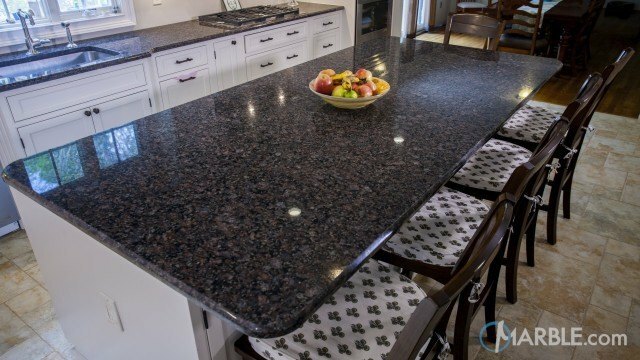 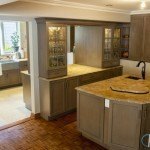 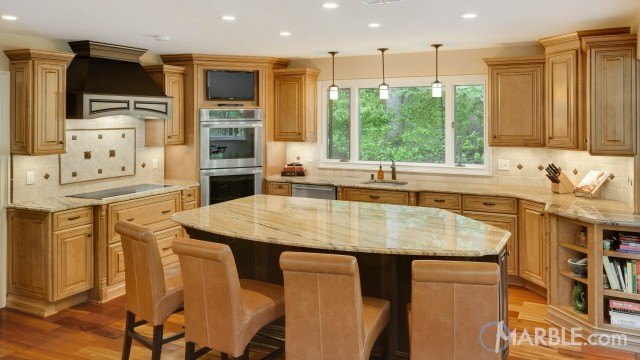 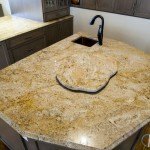 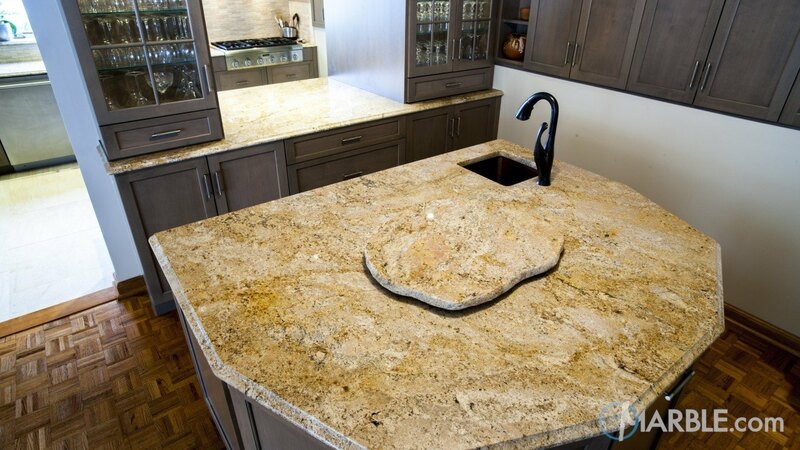 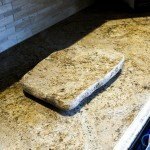 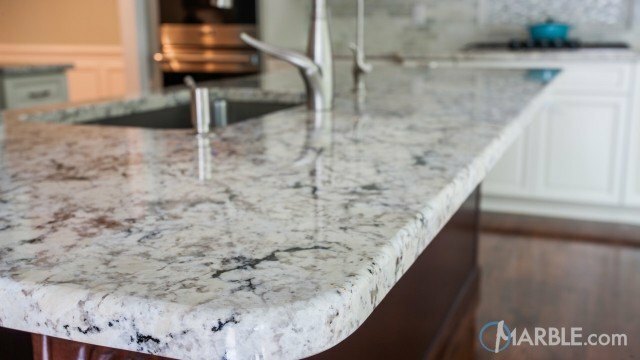 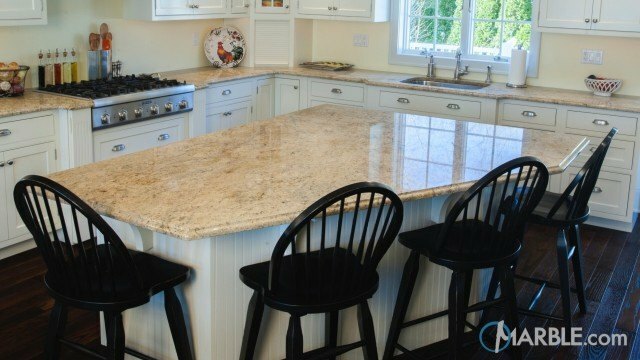 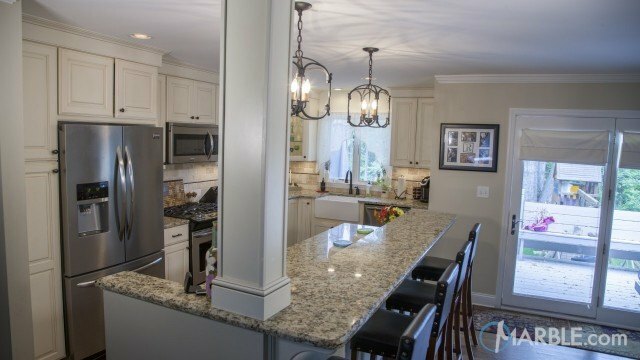 It is a custom kitchen island design with a custom lazy susan cut from left over slab material, which makes a great center piece. 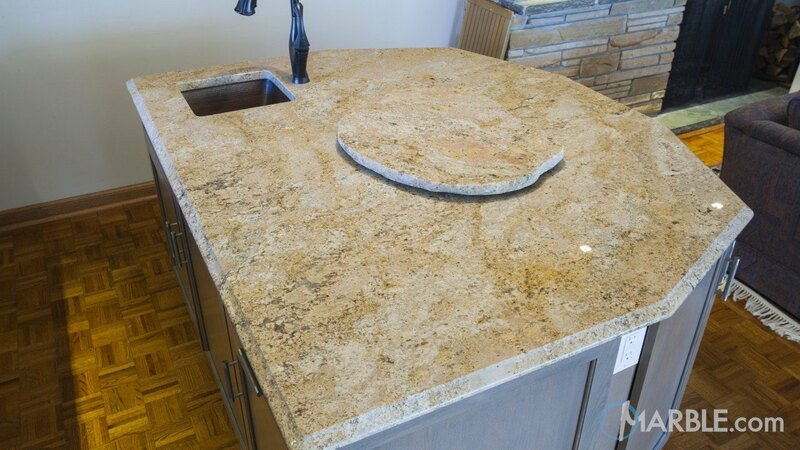 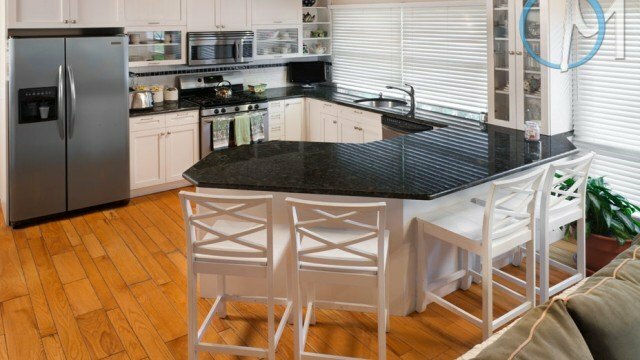 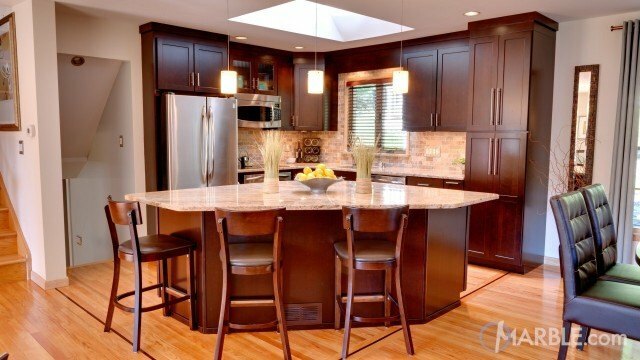 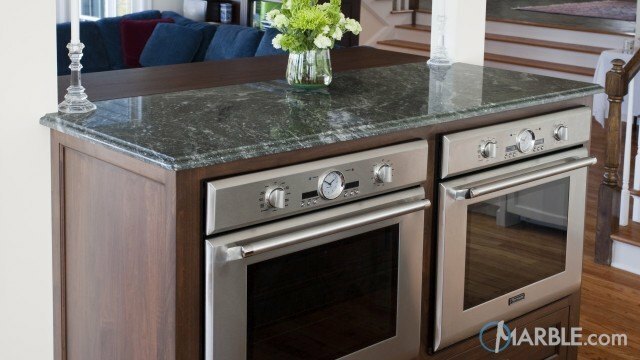 The lazy susan is not just an aesthetic addition but adds function to the large island as well. 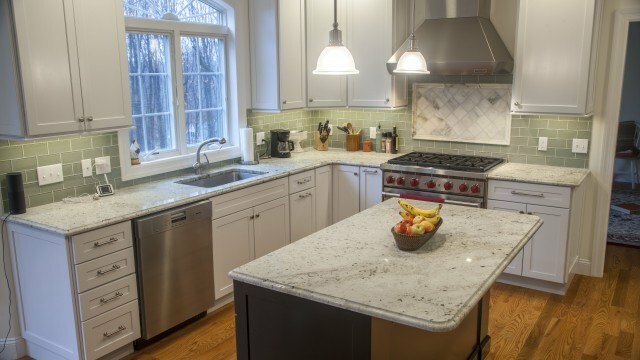 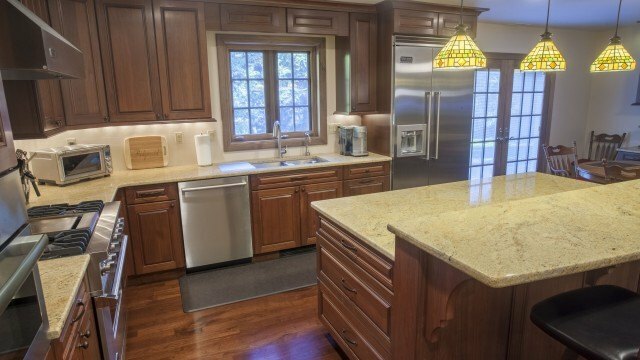 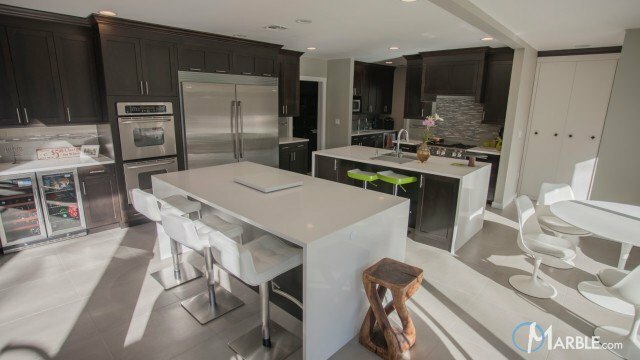 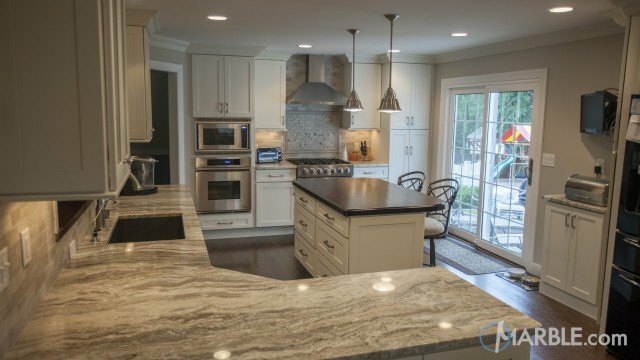 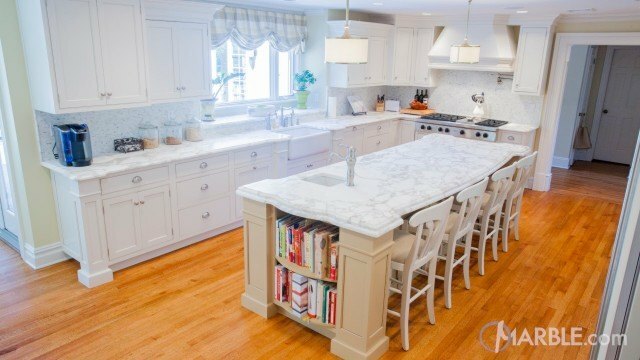 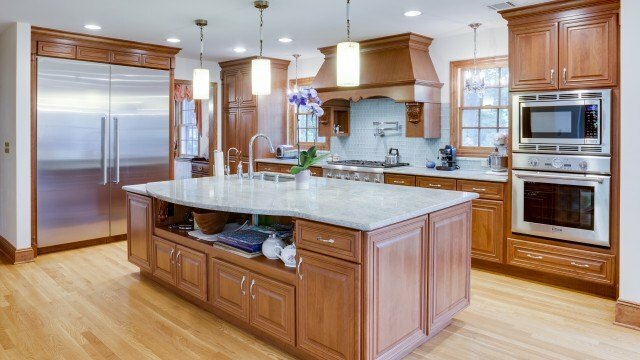 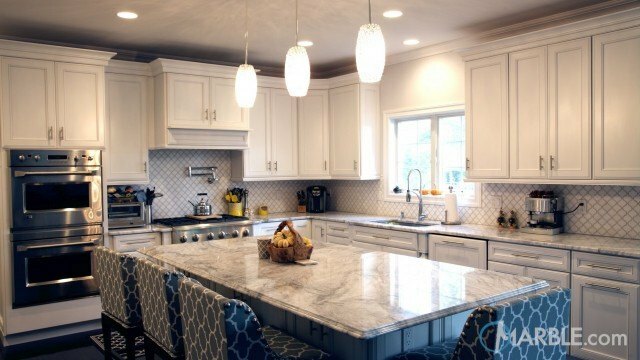 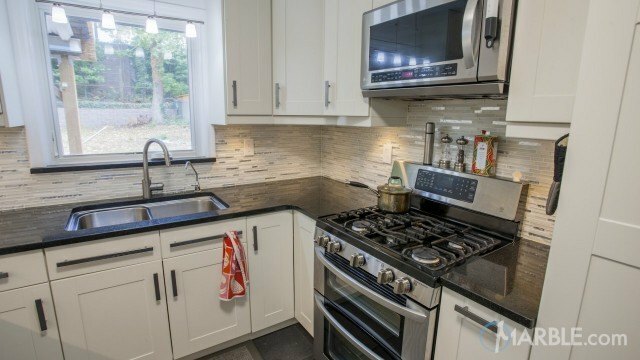 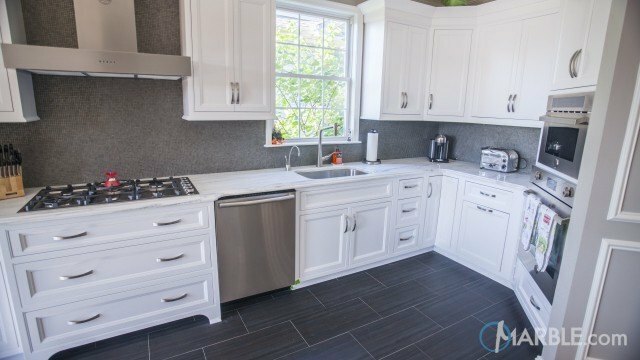 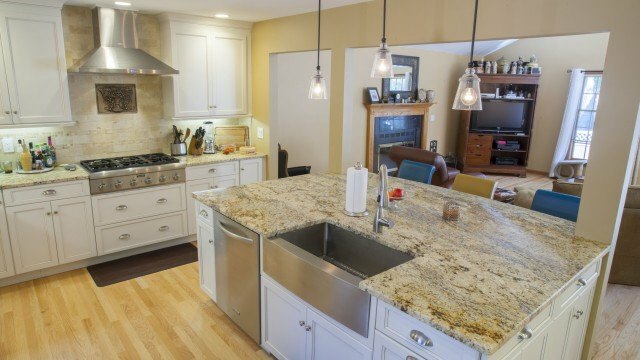 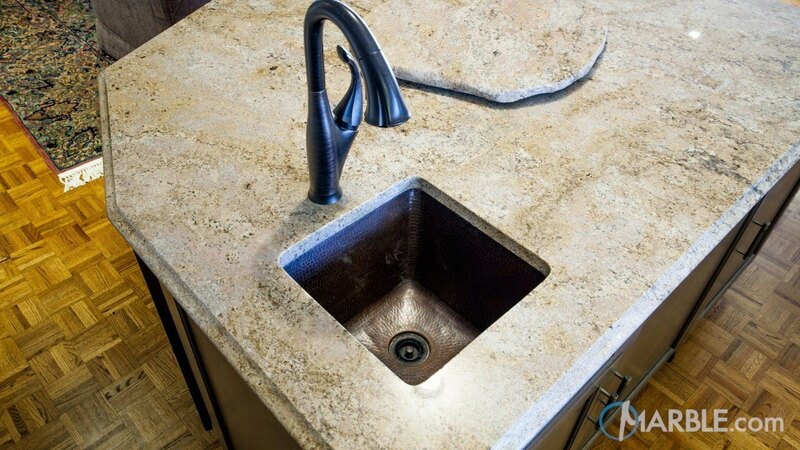 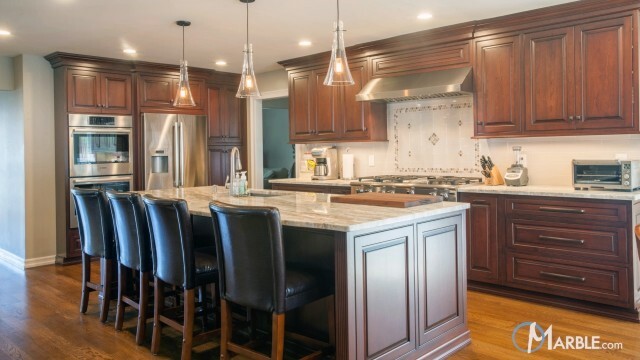 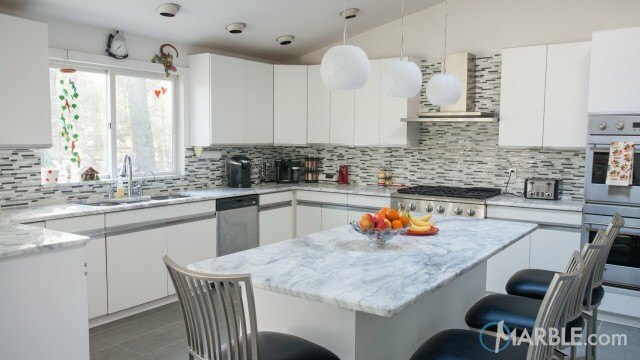 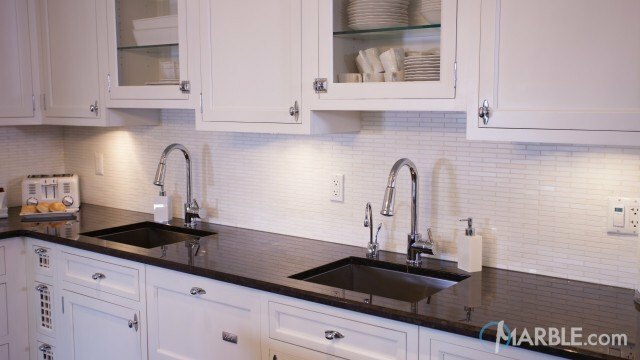 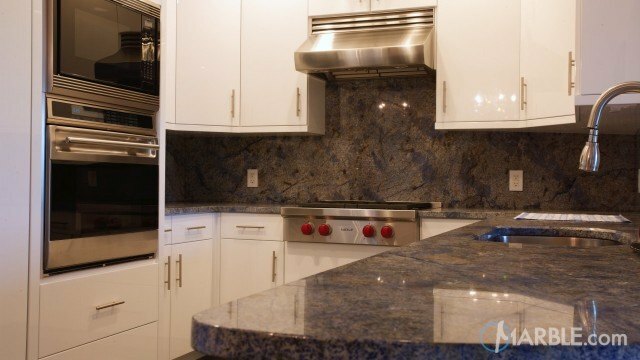 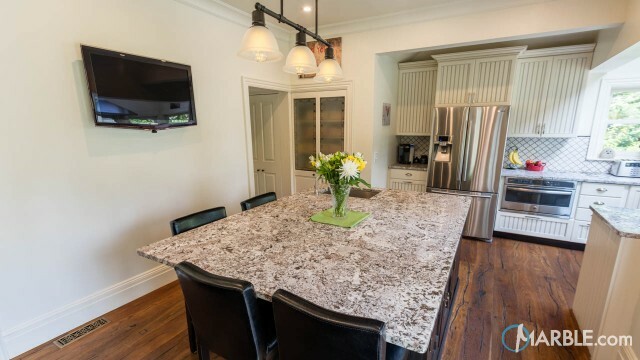 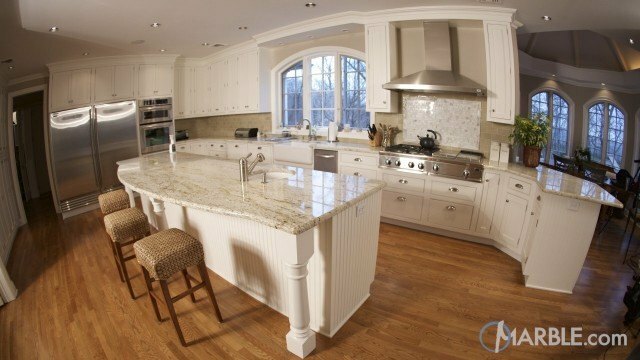 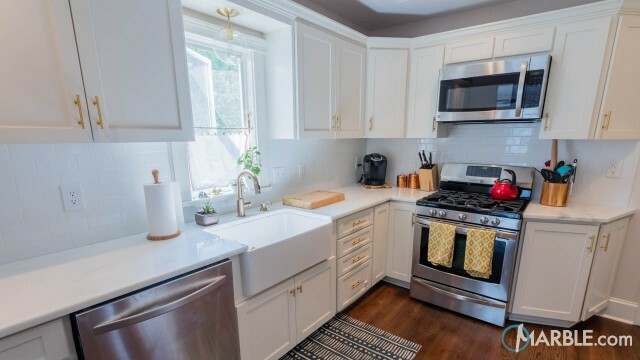 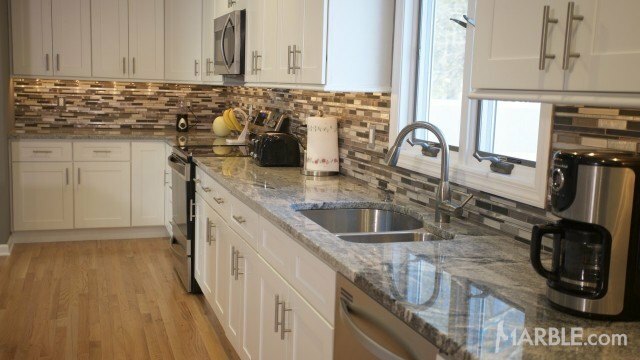 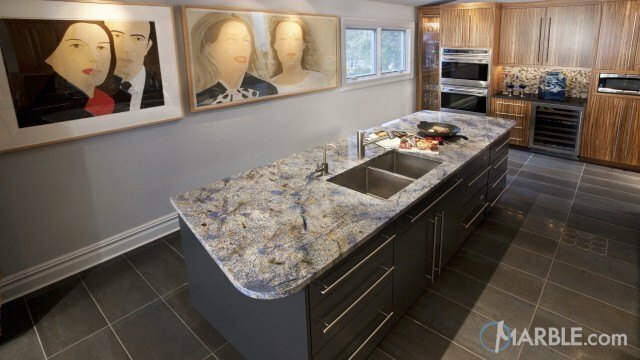 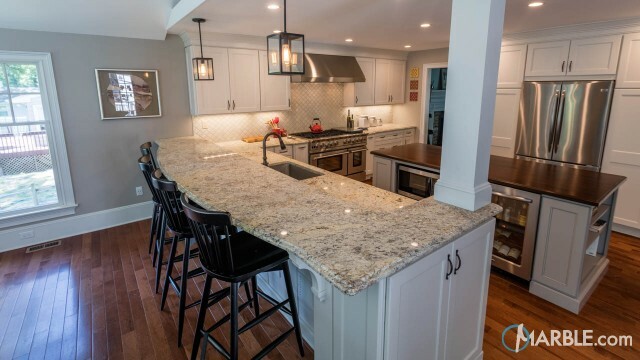 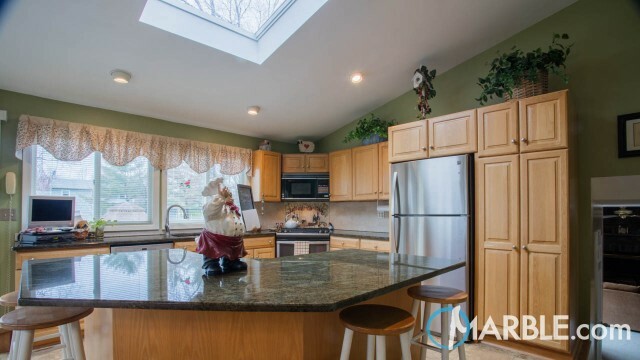 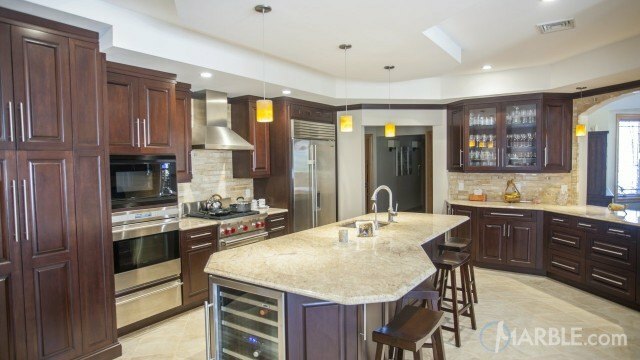 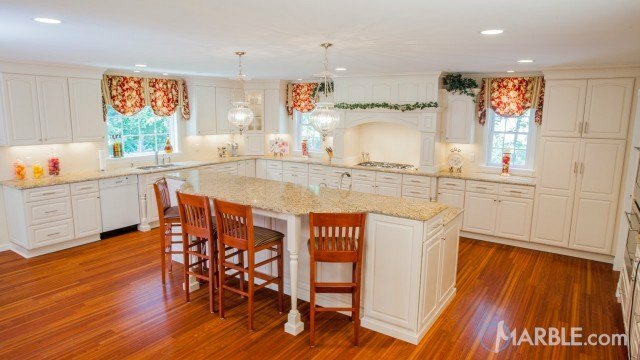 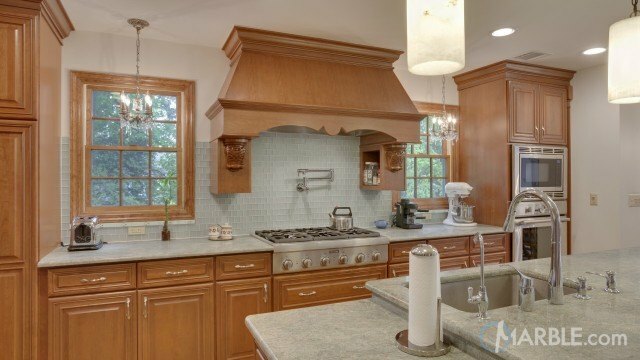 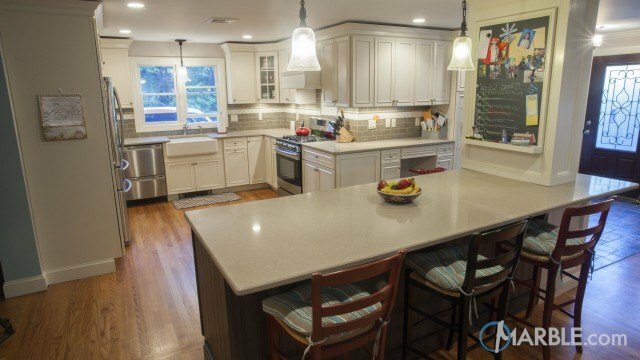 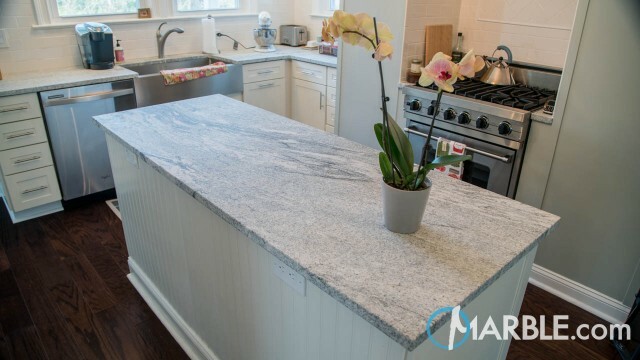 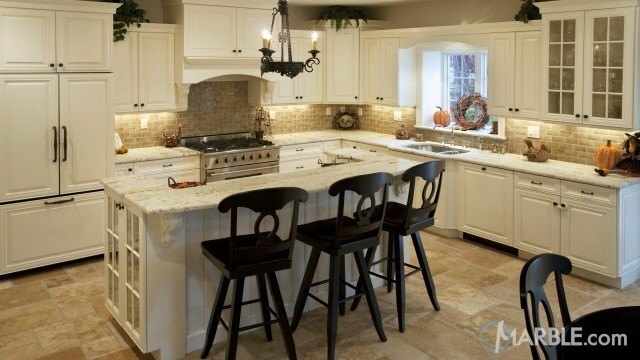 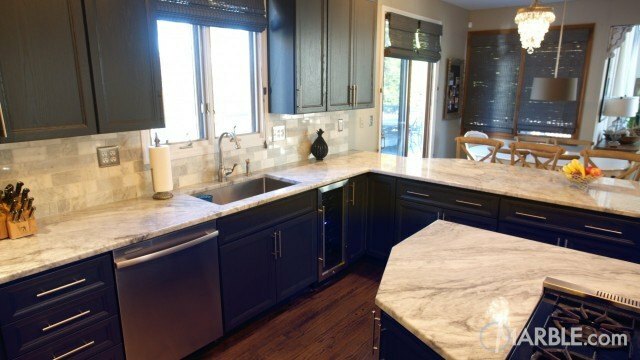 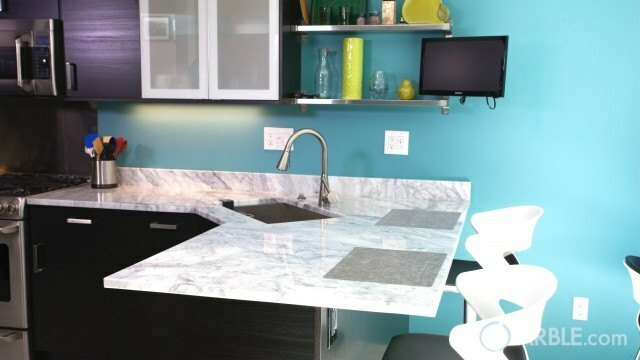 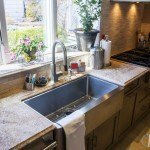 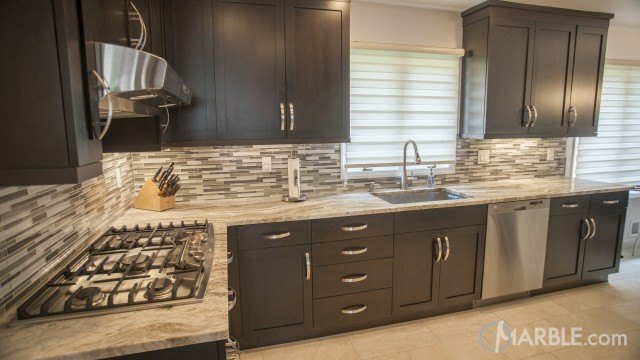 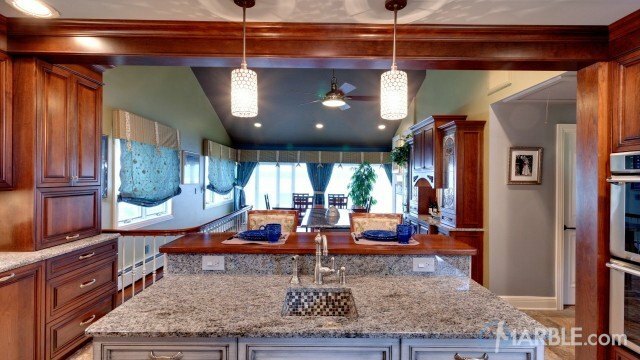 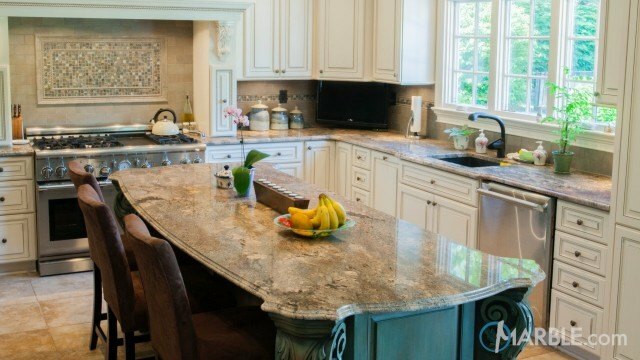 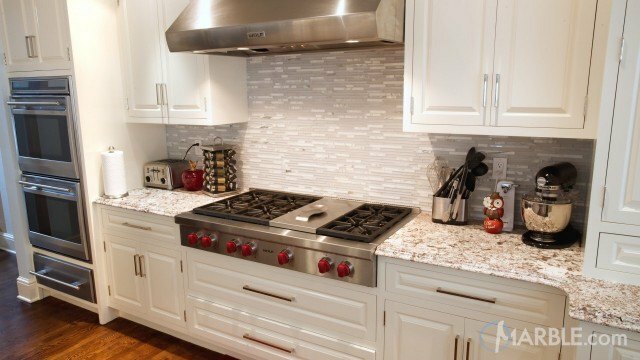 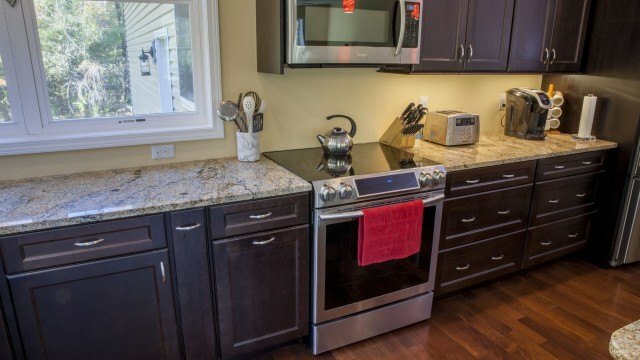 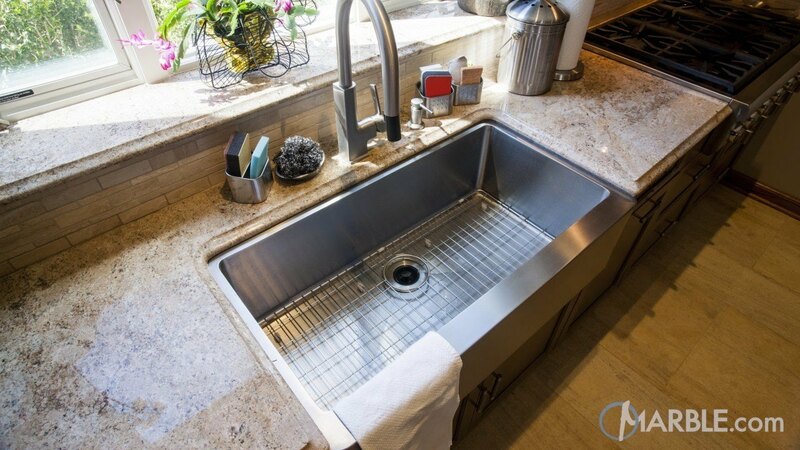 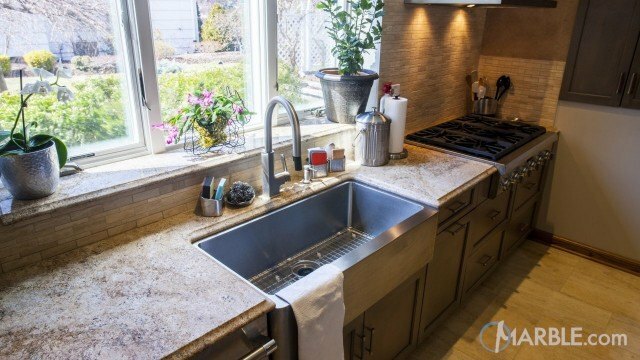 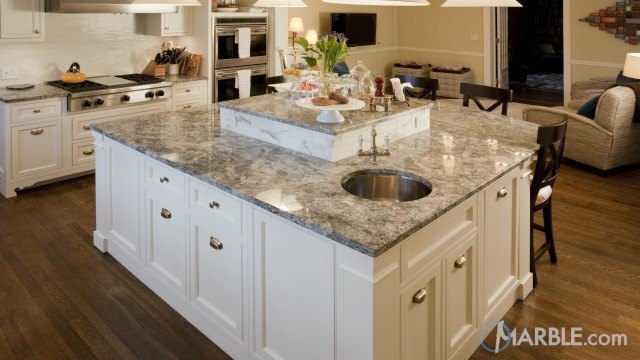 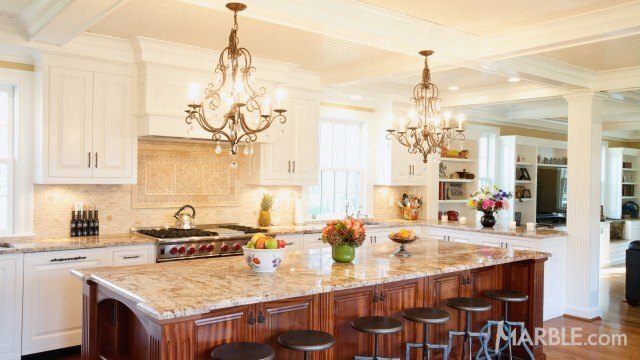 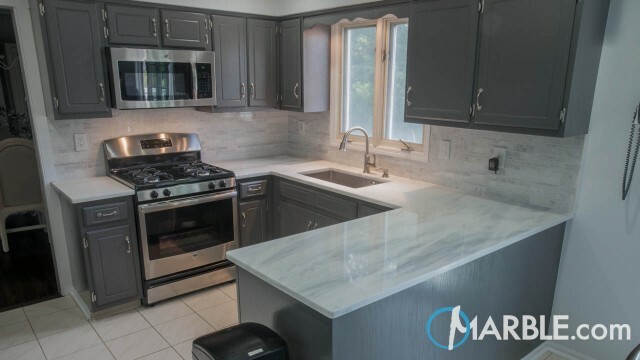 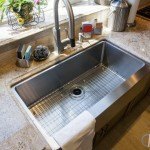 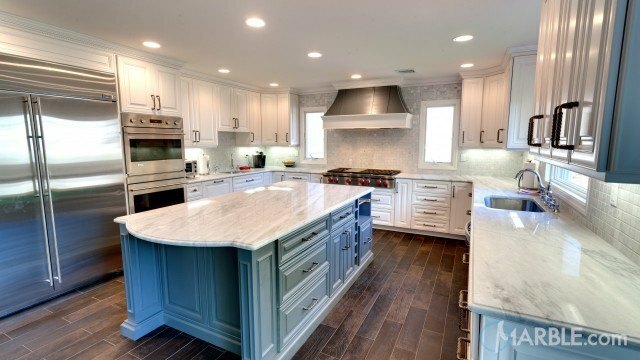 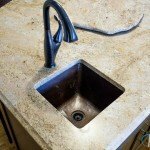 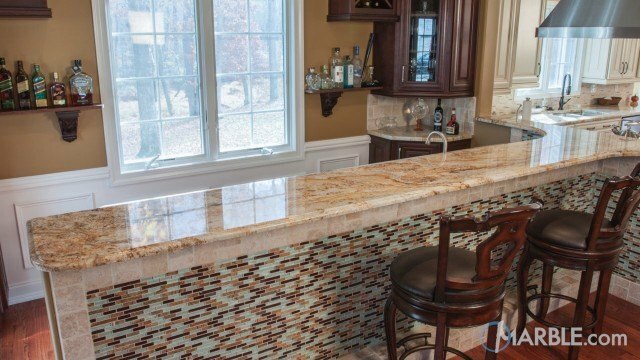 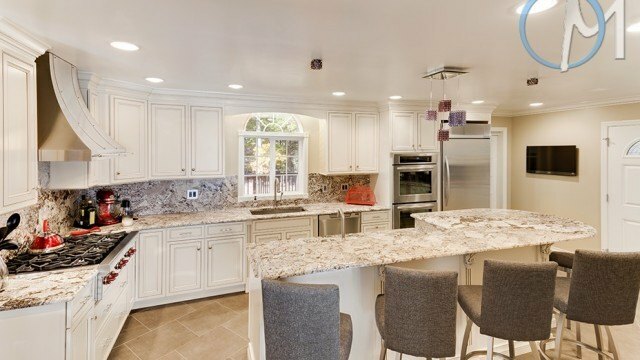 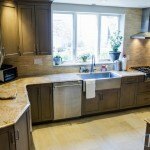 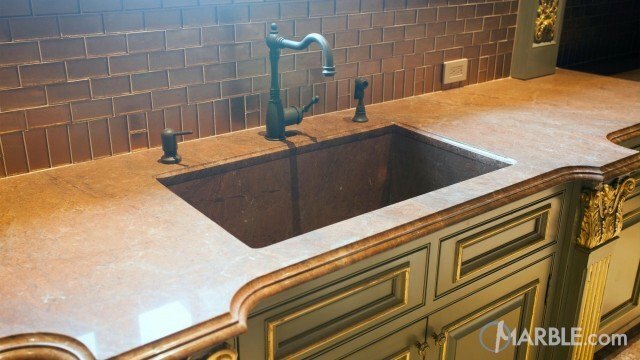 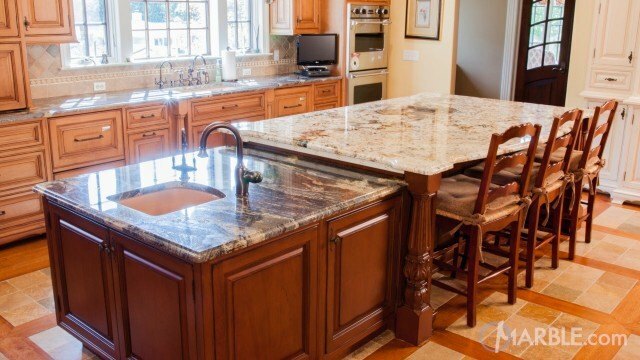 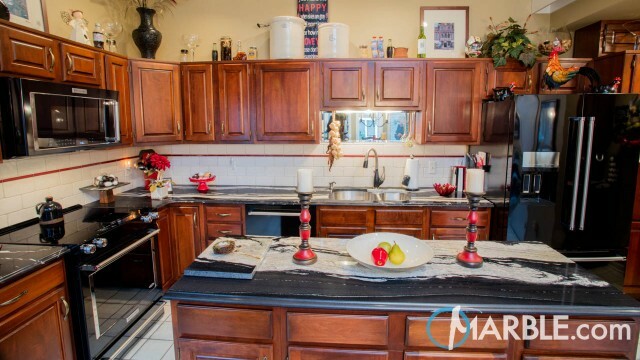 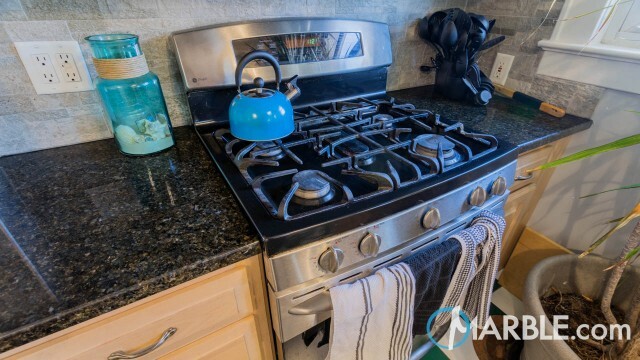 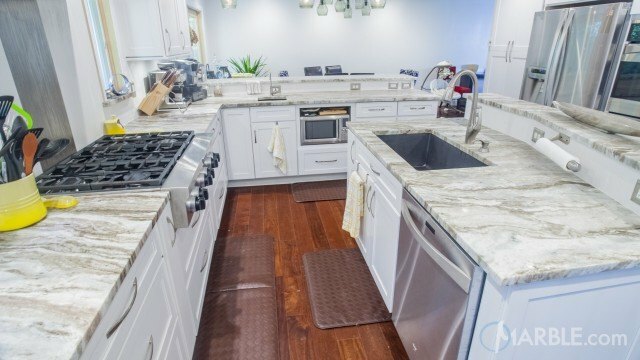 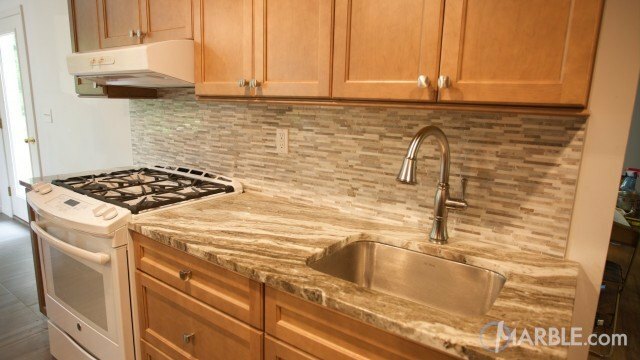 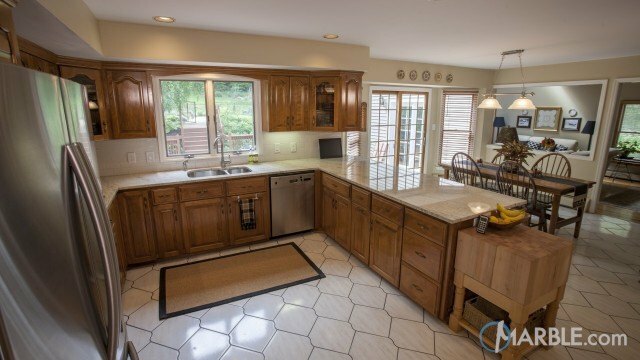 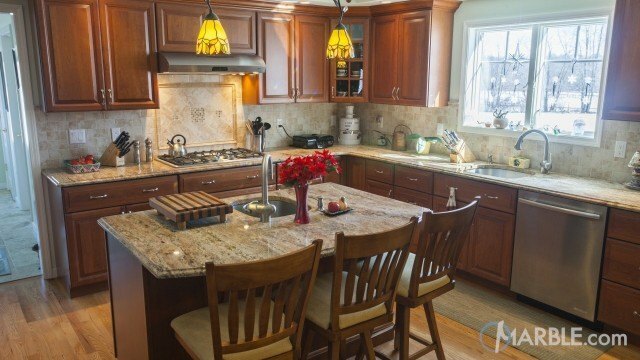 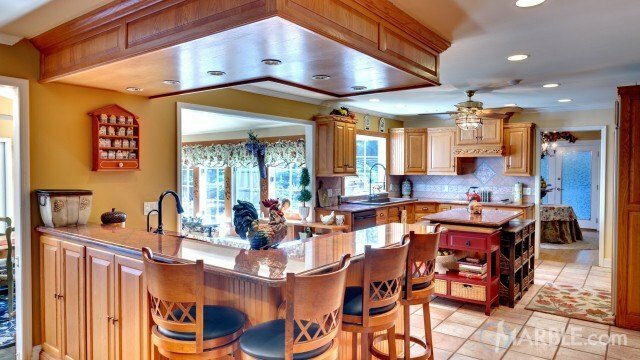 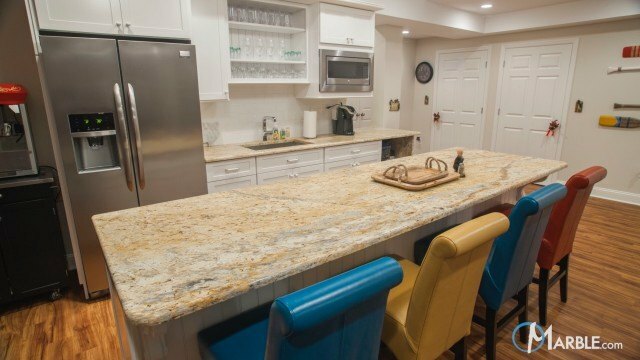 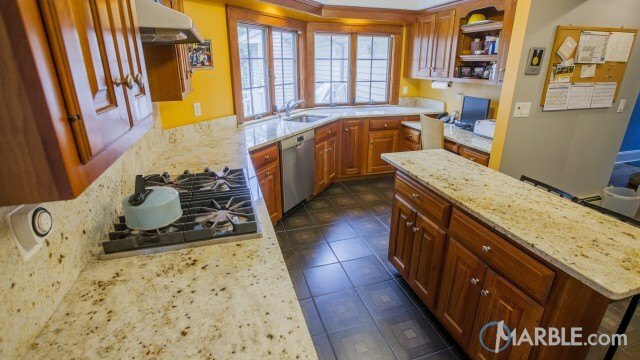 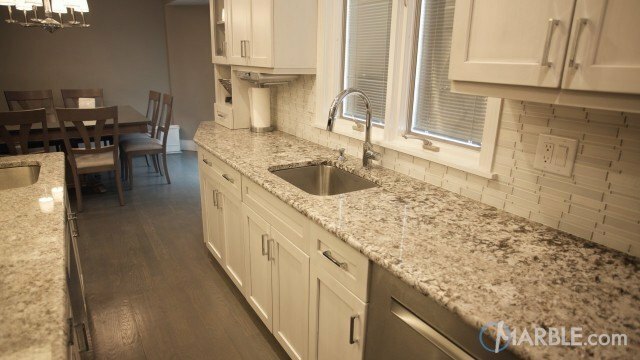 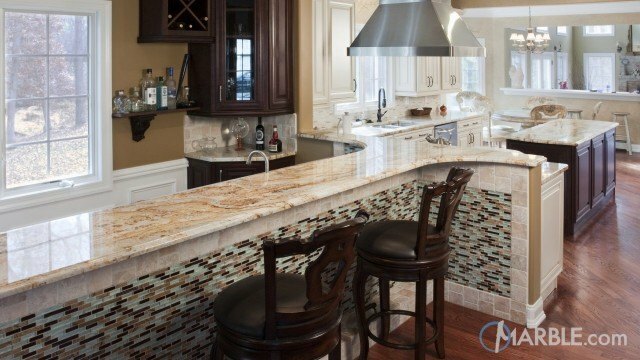 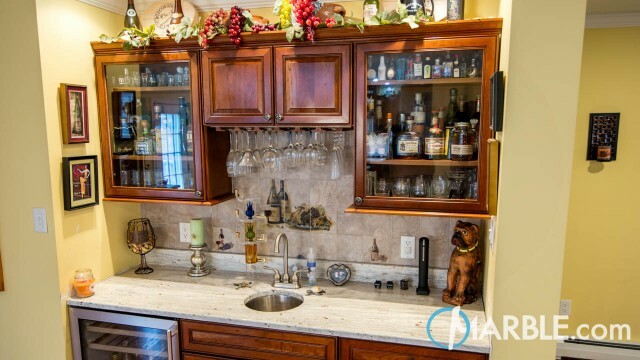 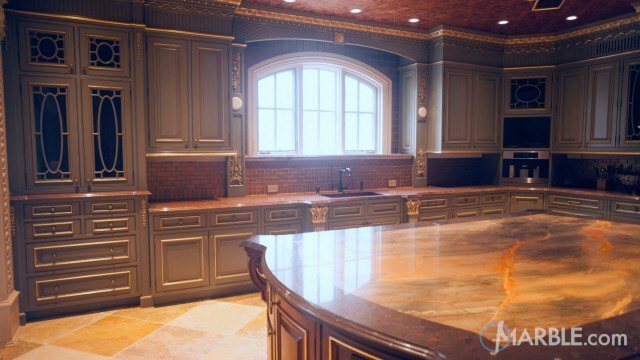 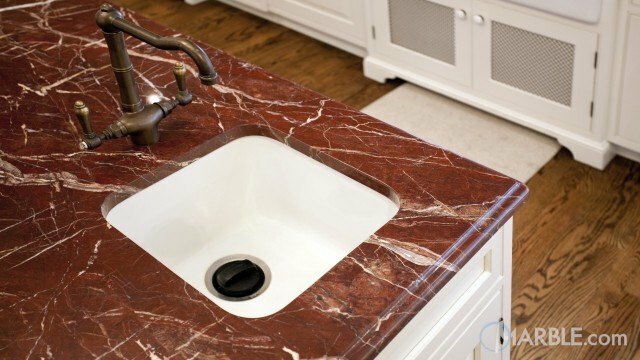 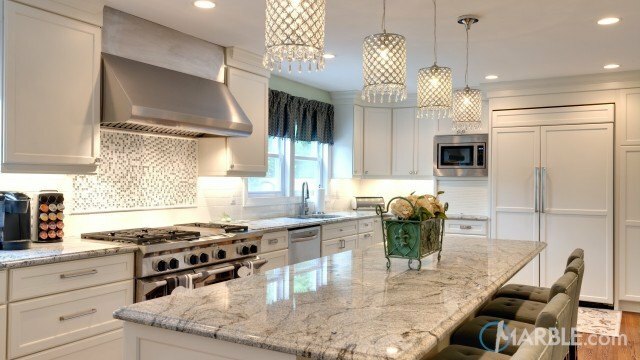 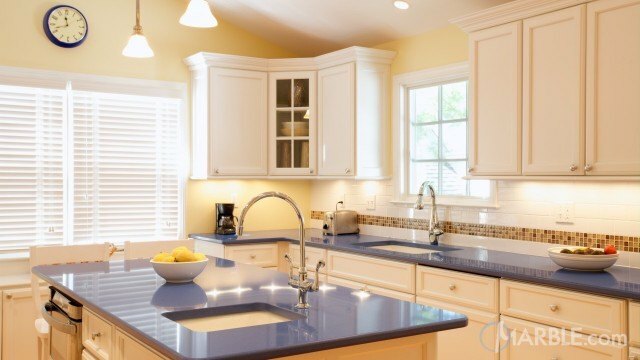 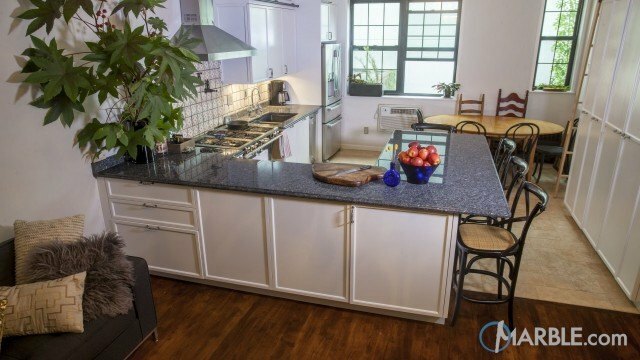 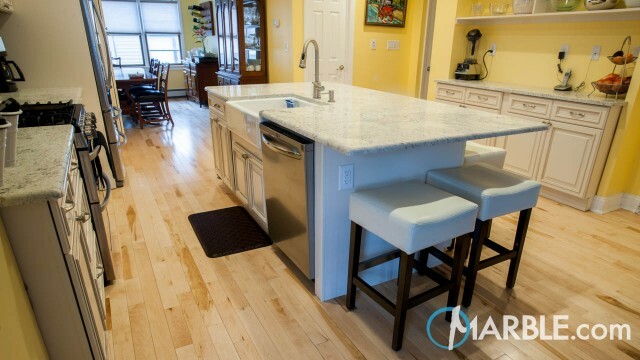 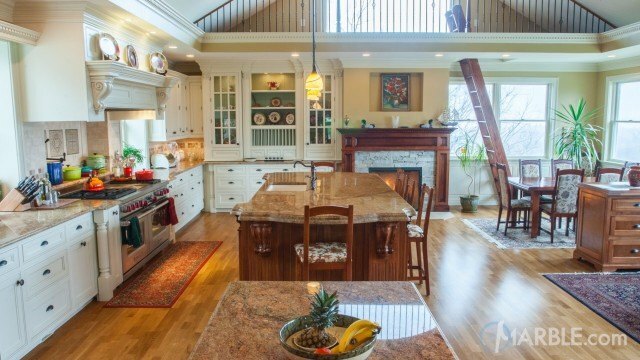 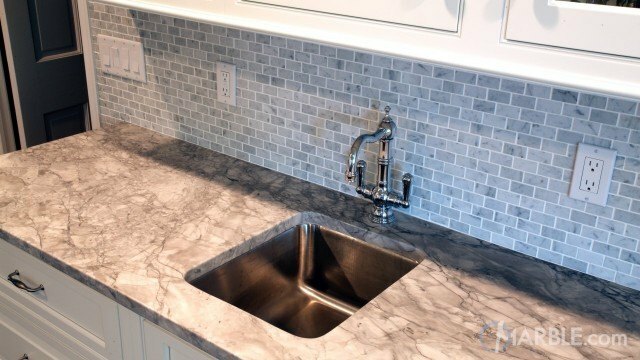 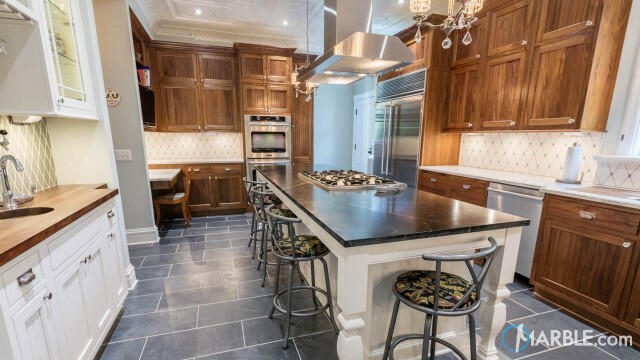 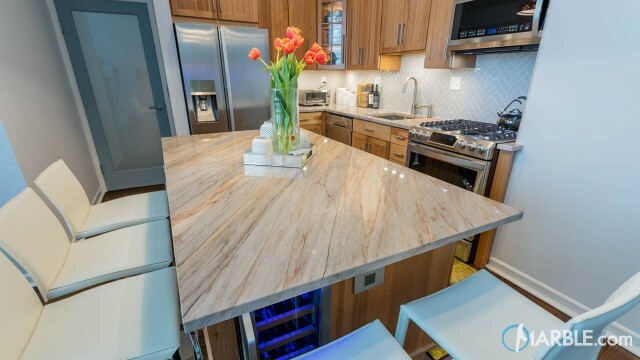 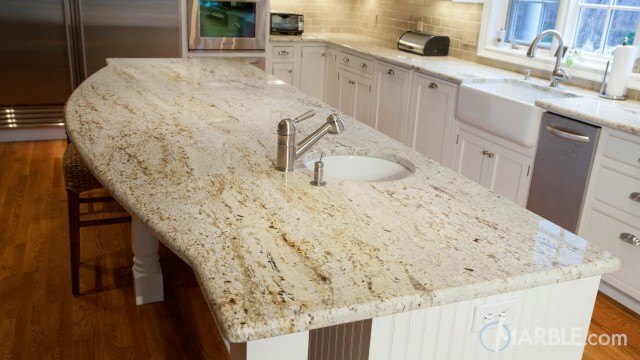 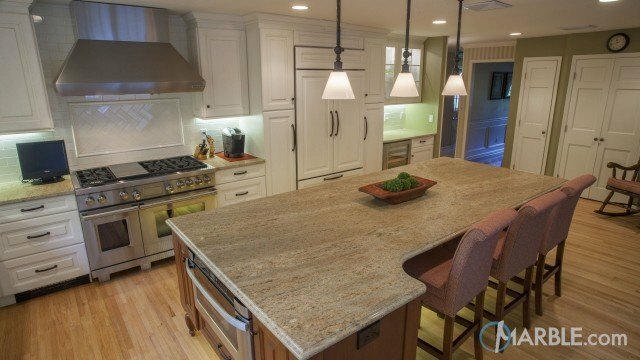 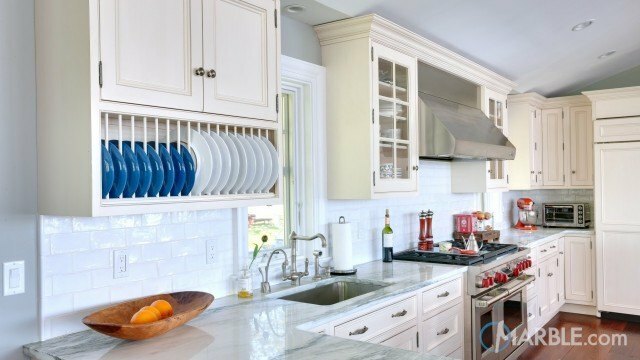 The small sink on the far corner of the island also makes a great addition for function and beauty.